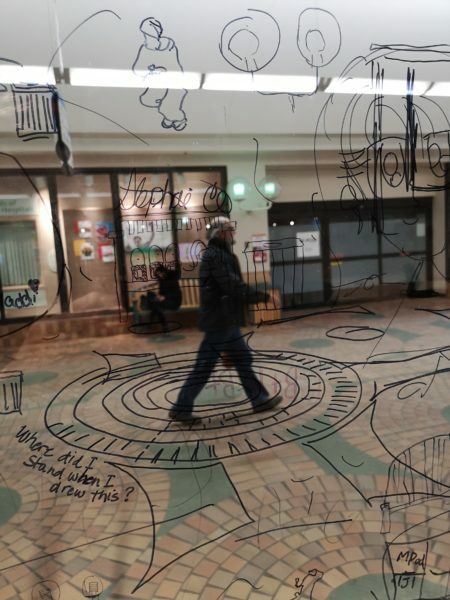 For the past years, I have been performing drawing projects aiming to connect people to their everyday environment. 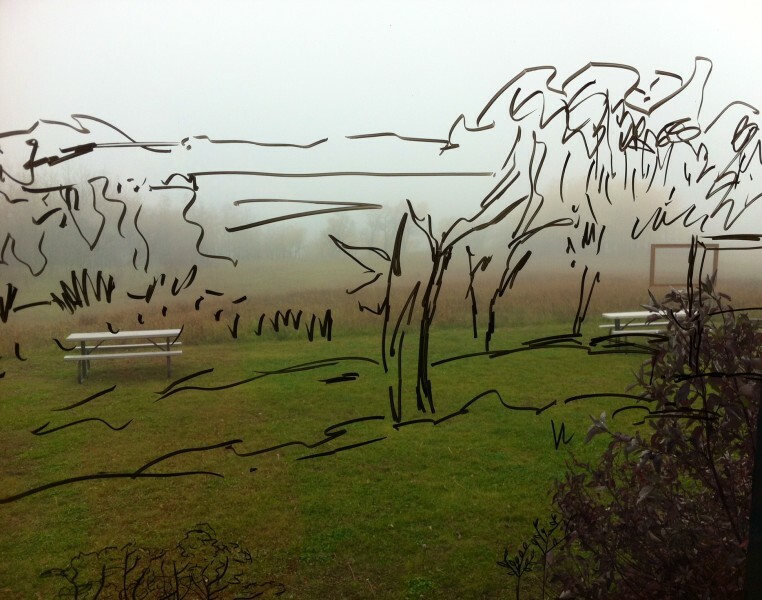 For me, drawing is an activity that enhances perception. 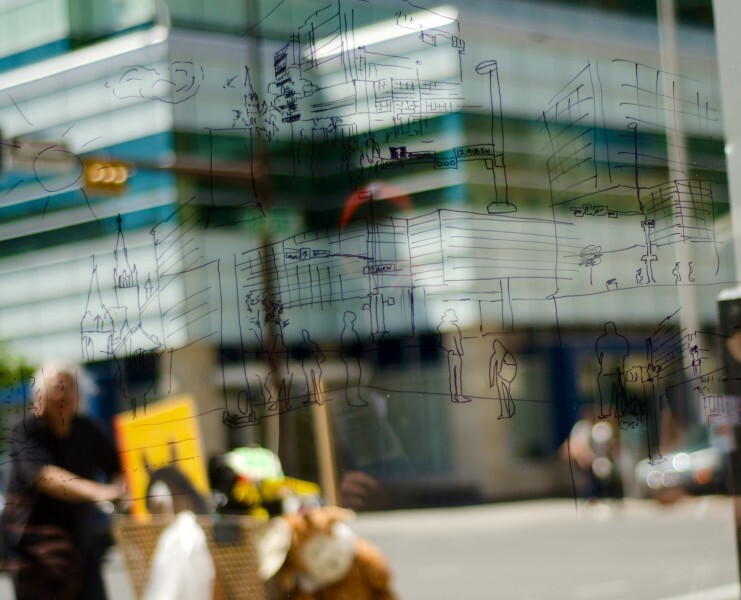 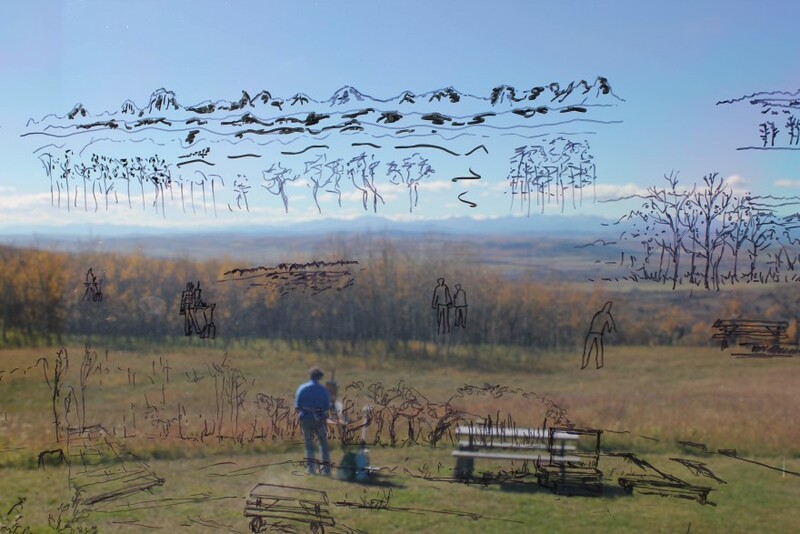 By drawing, people become more aware of their everyday surroundings. 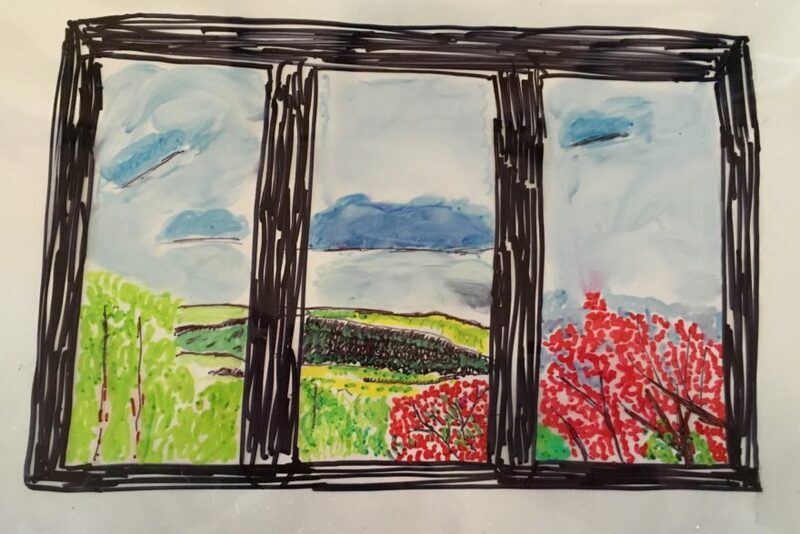 I also believe that by having a framed view, like a window, we actually can pay more attention to a certain place. 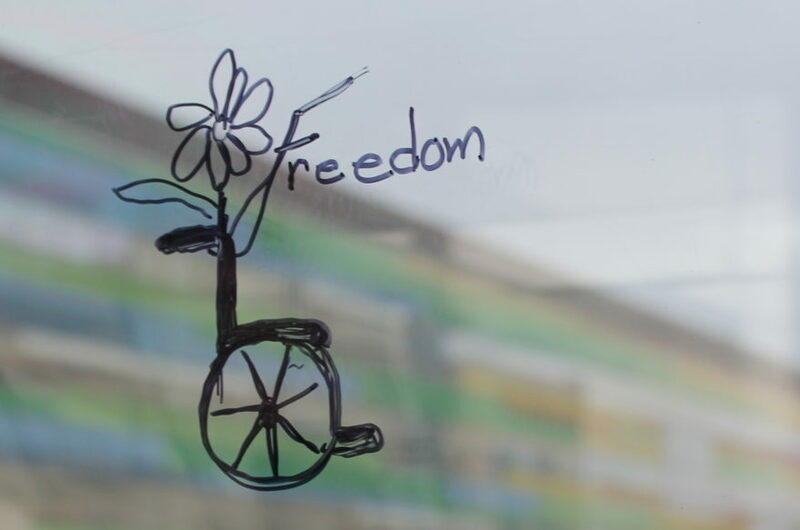 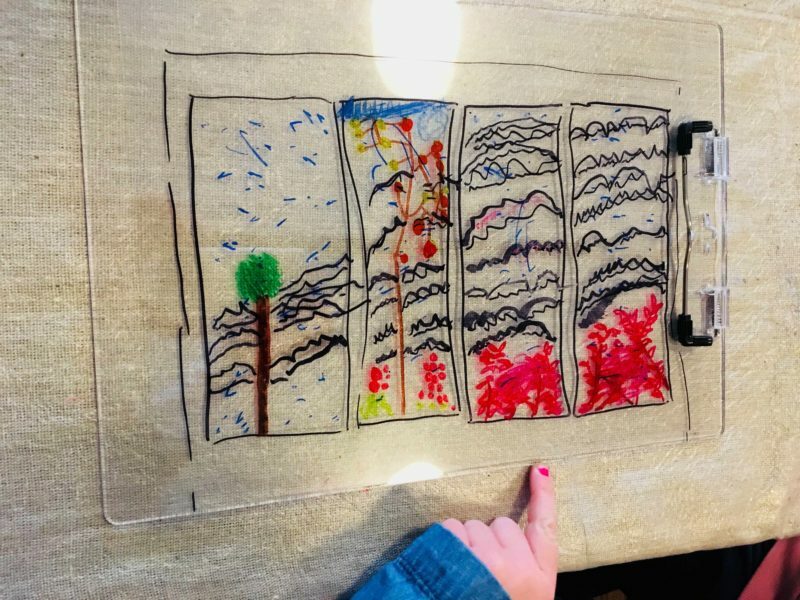 Following this concept, I have created a window on wheels called the Walking Window where I invite people to draw on it. 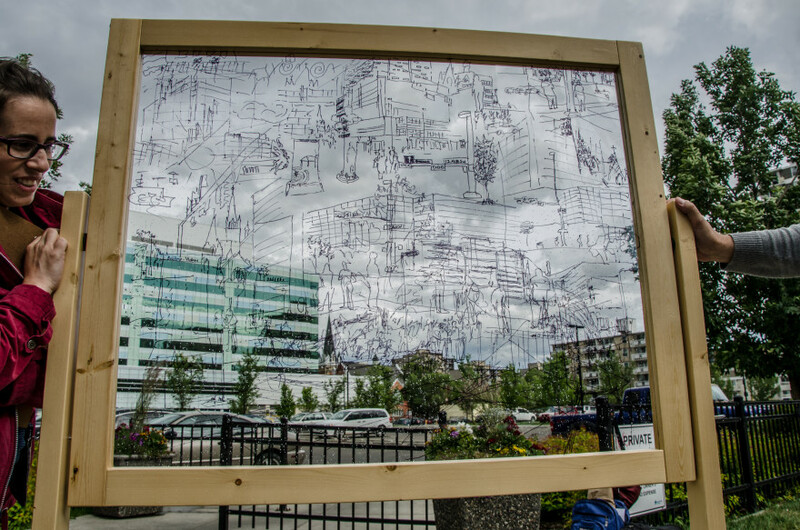 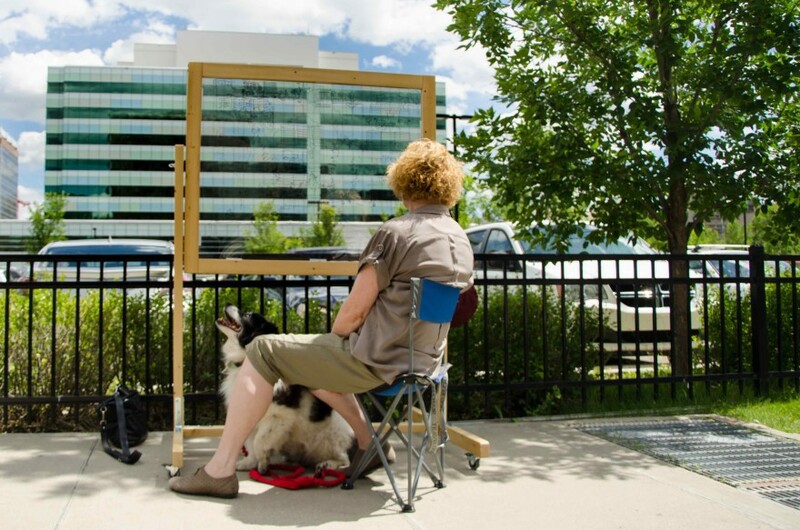 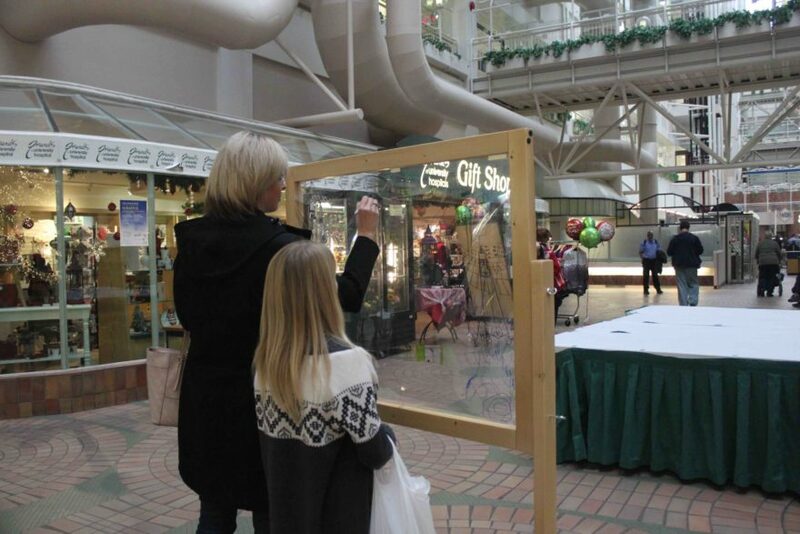 During two full days, I staged a new iteration of the Walking Window project at the University Hospital site. 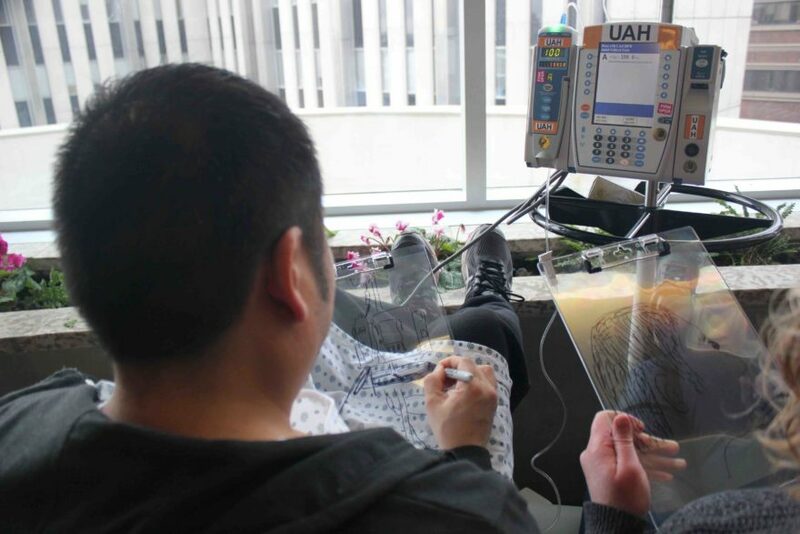 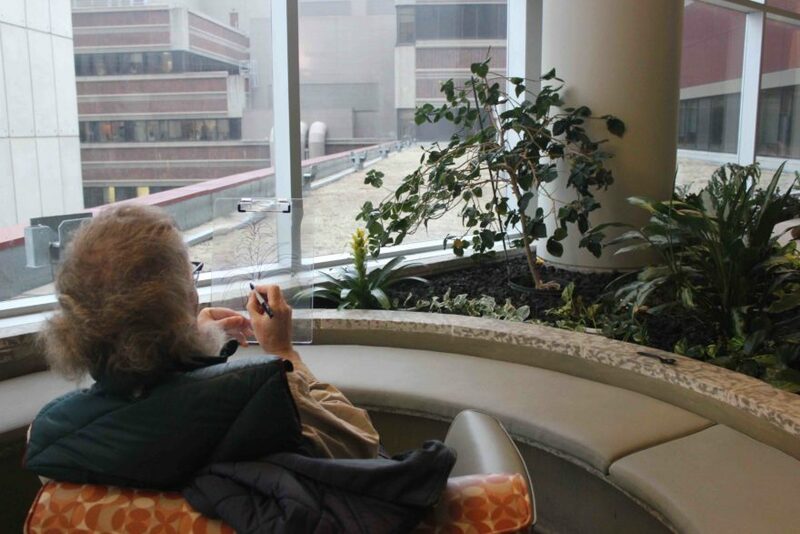 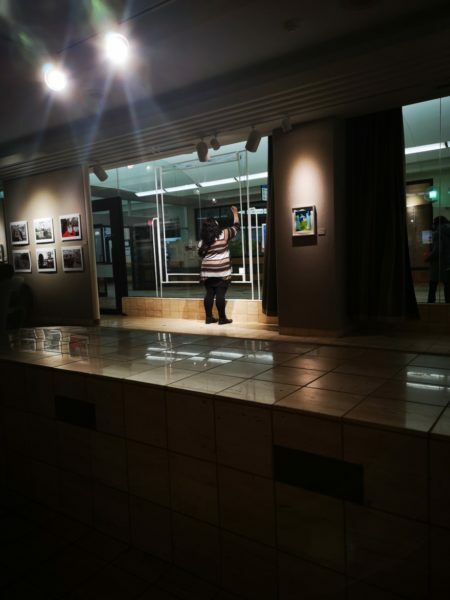 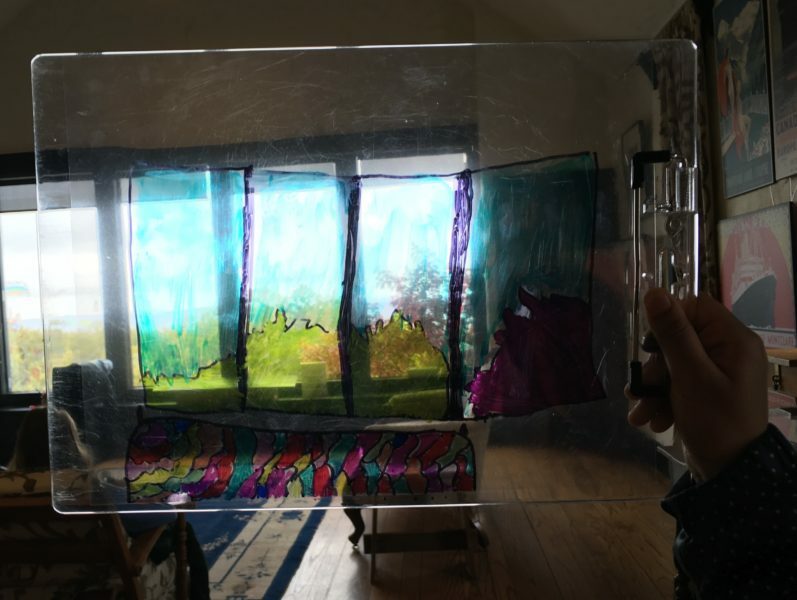 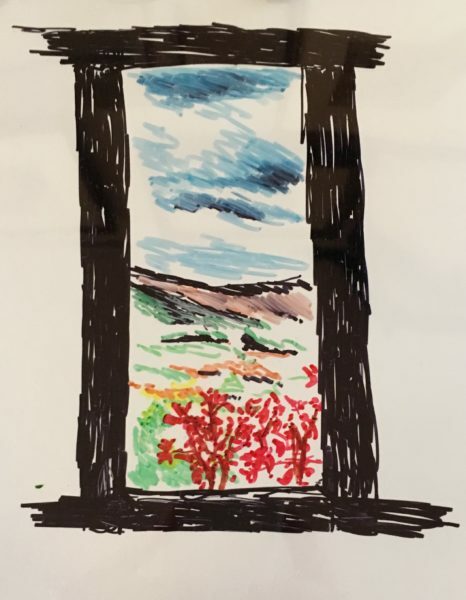 Last November 2018, I walked with the Walking Window, and several transparent clipboards, and offered people the opportunity to draw things that they saw from this framed view: this included various indoor places like waiting rooms, and common areas in the hospital. 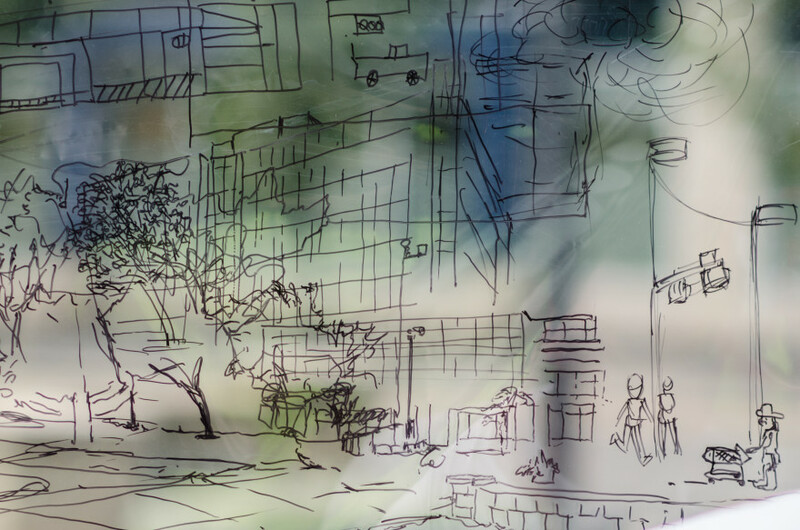 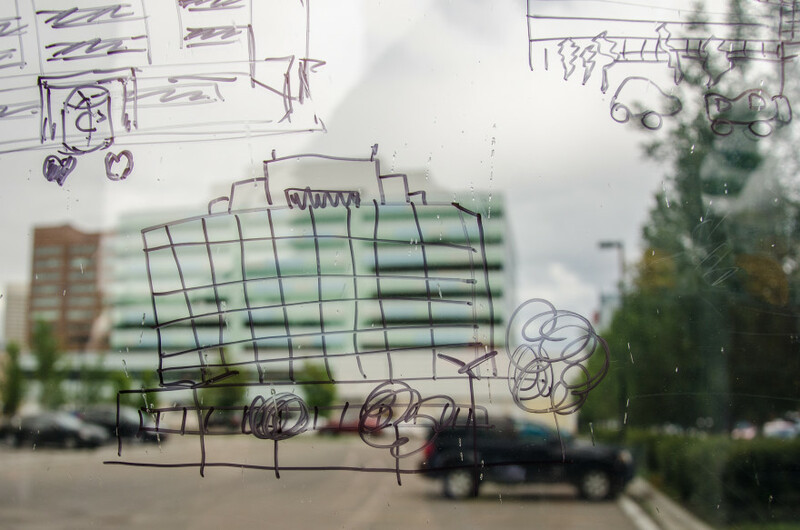 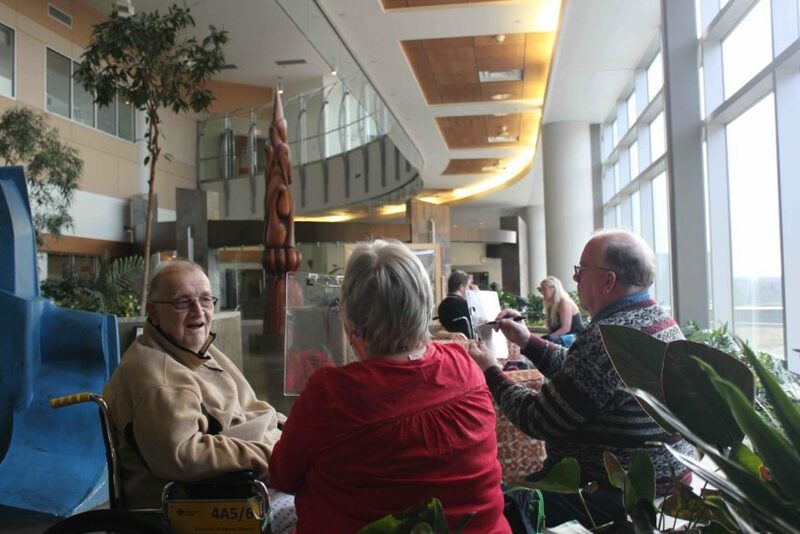 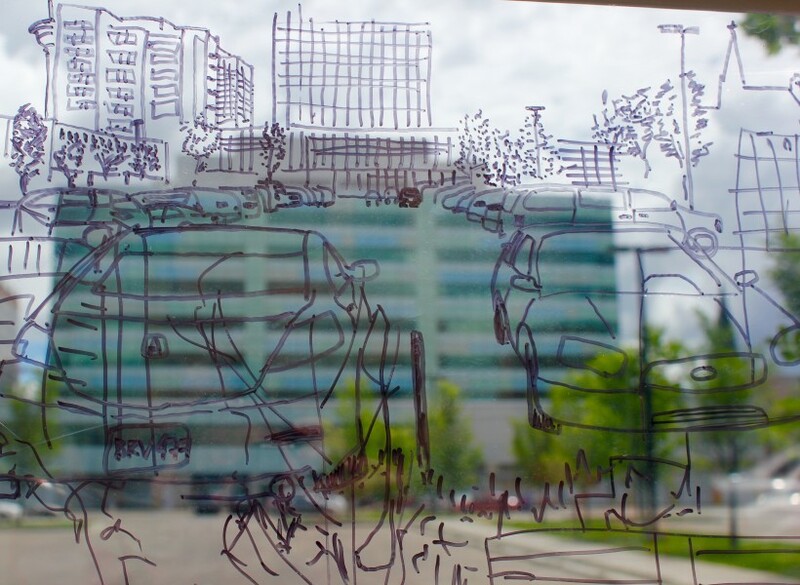 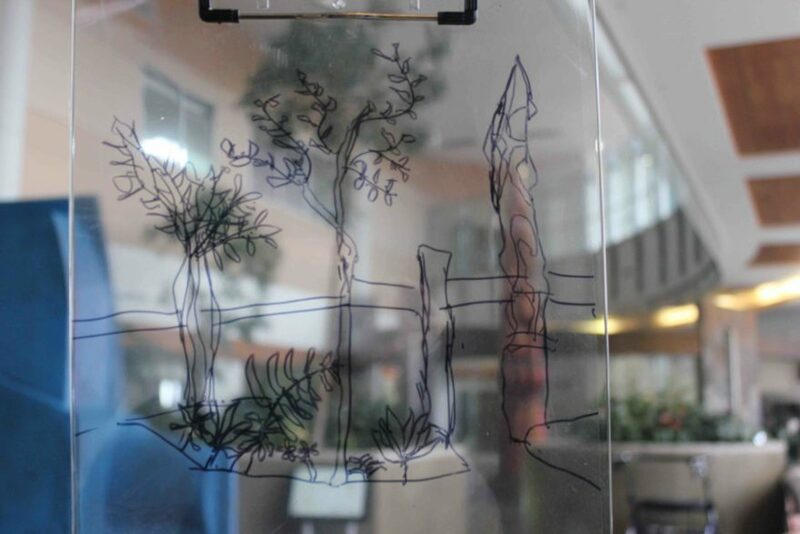 The idea was to gather from visitors, patients, and staff a collection of drawings from different perspectives and locations around the University Hospital. 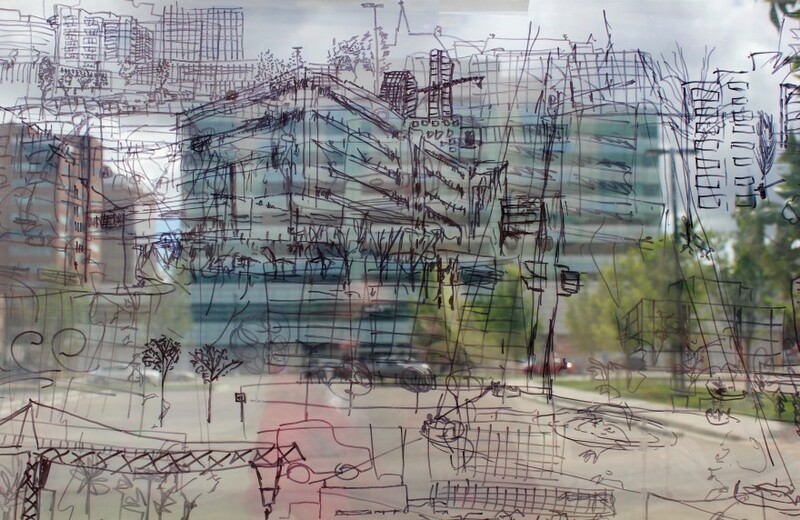 The resulting work is a photo-documentation of the process in which this drawing project was created, and the unique perspectives of participants. 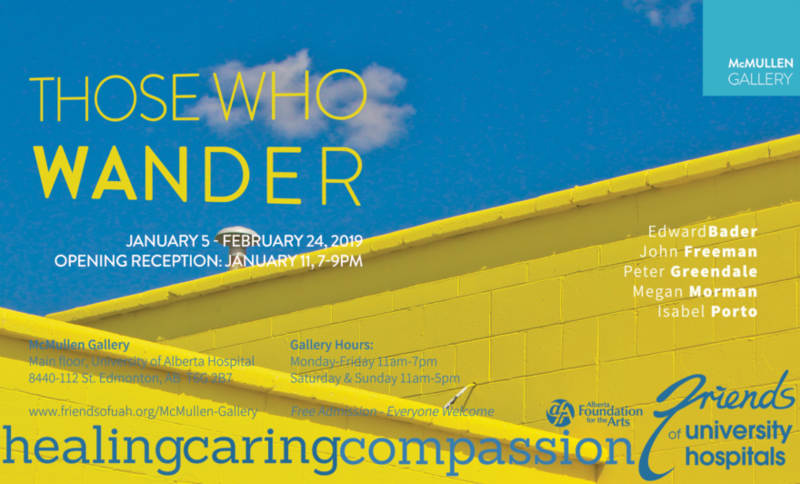 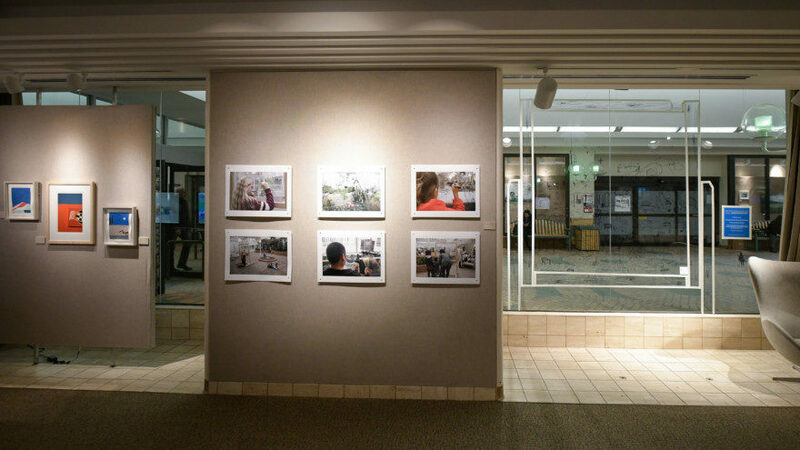 This serie of photographs were exhibited at the McMullen Gallery during a group show called Those Who Wander from January 5th to February 24th, 2019. 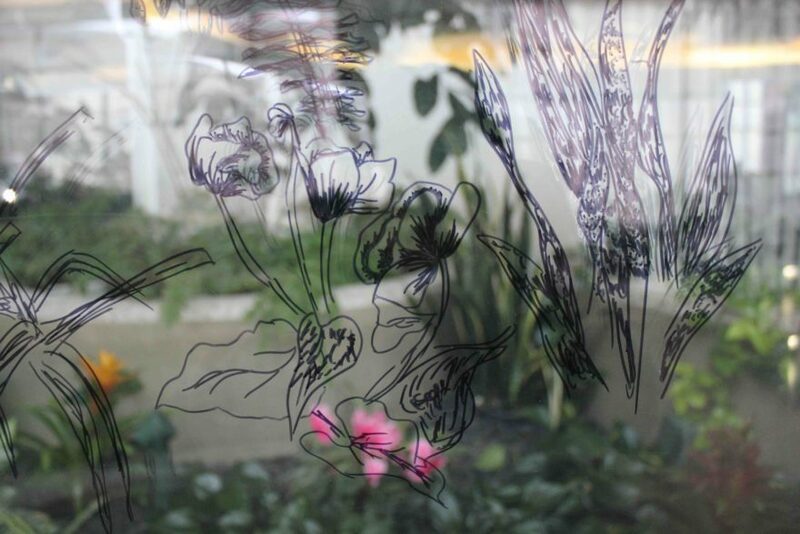 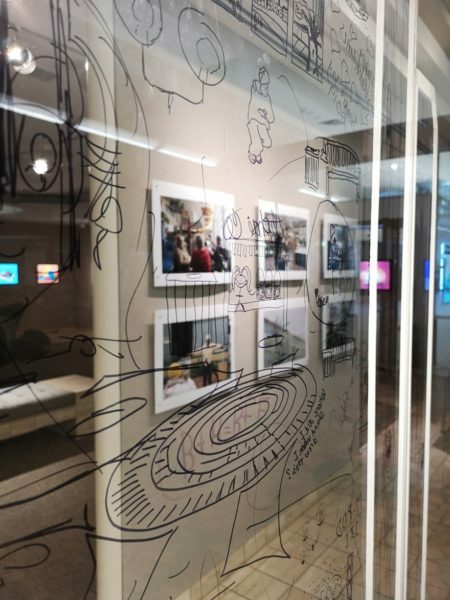 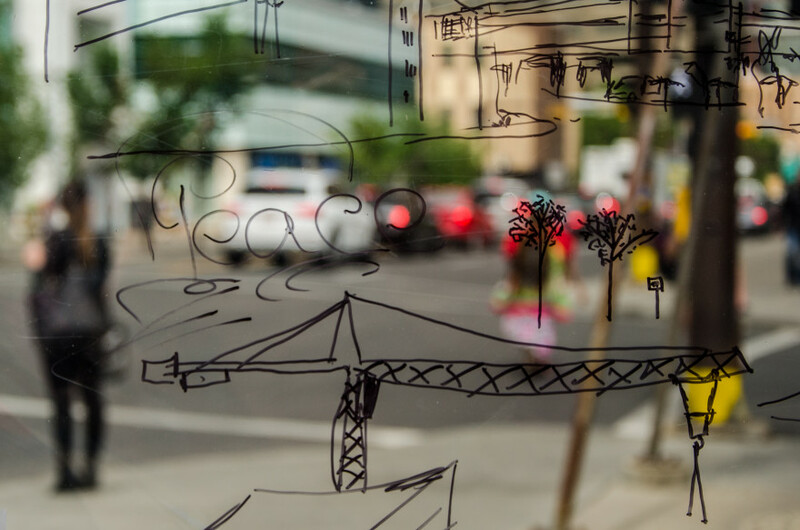 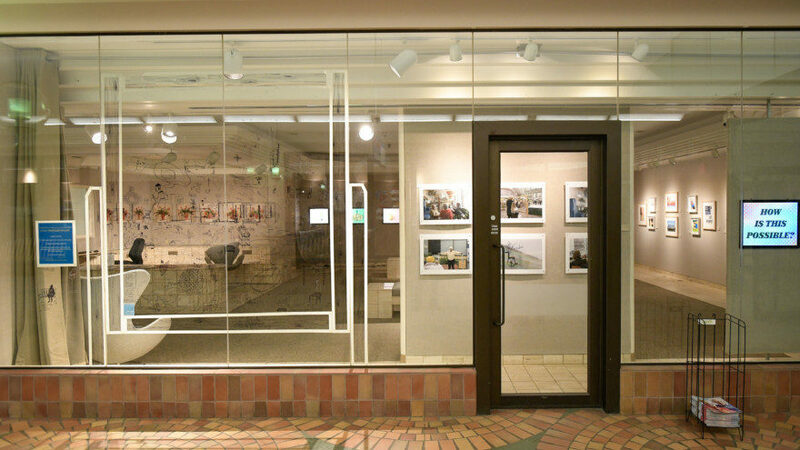 There, visitors could also participate on another interactive portion, this time drawing directly on the gallery window in a framed area alluding to the Walking Window design. 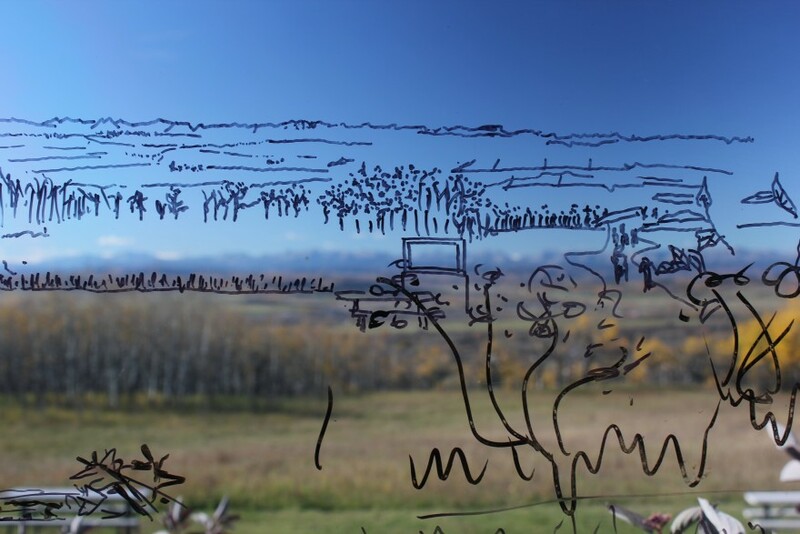 Landscape Tracing was my second time at the Leighton Art Centre during the Alberta Culture Days. 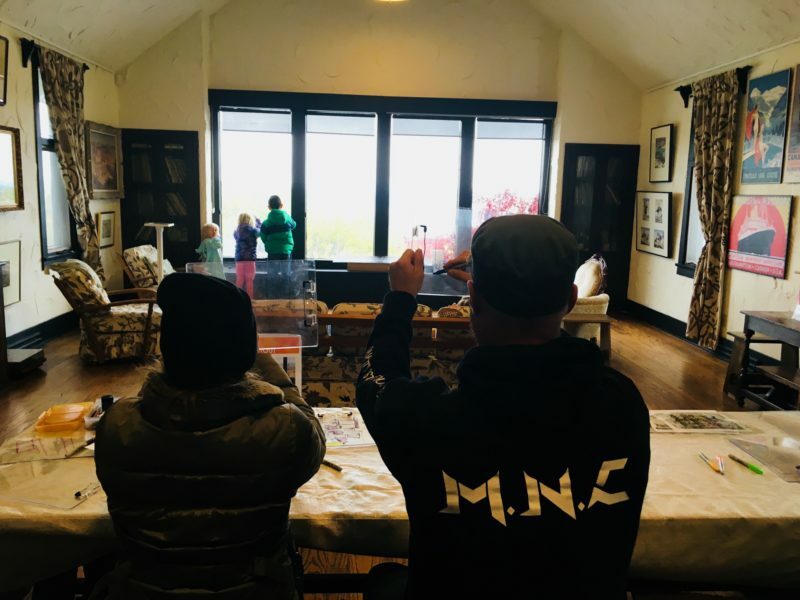 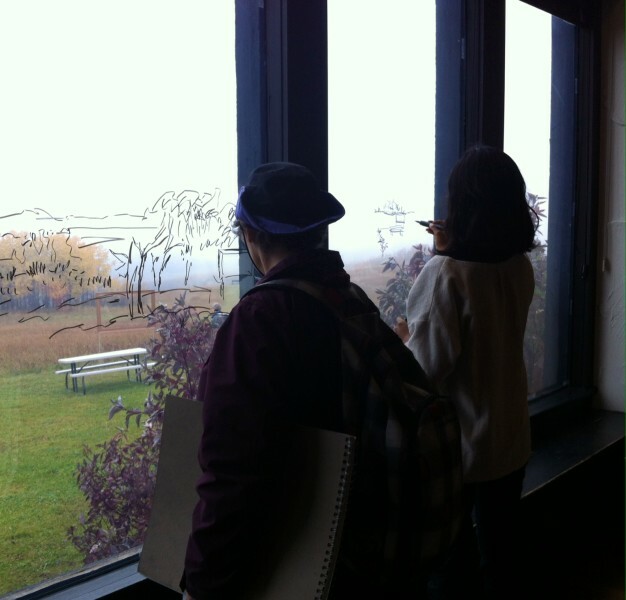 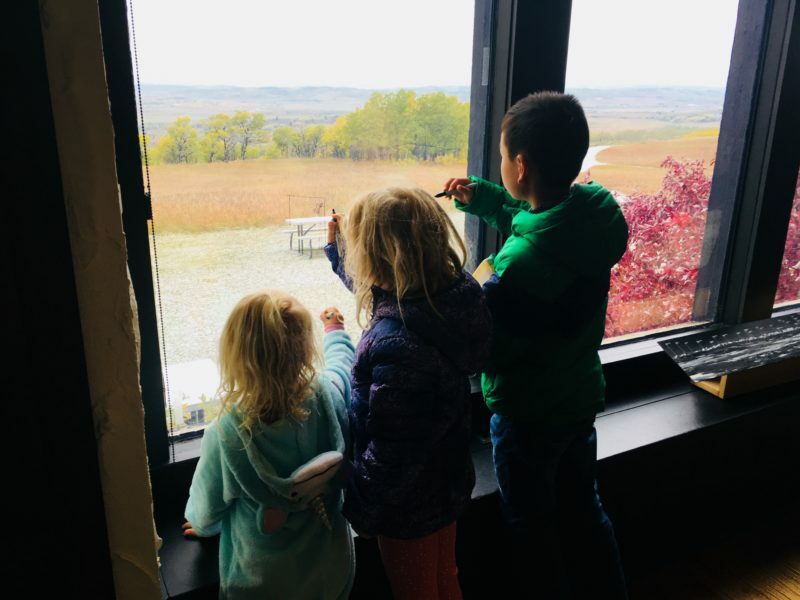 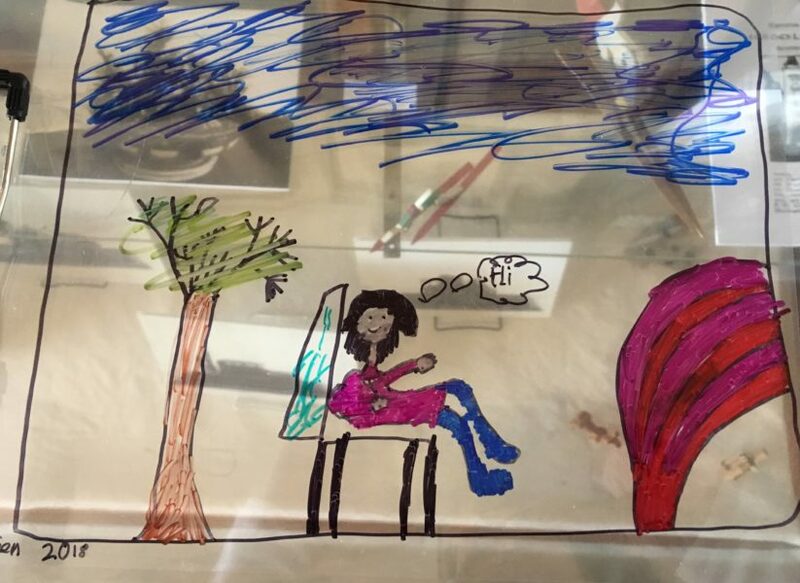 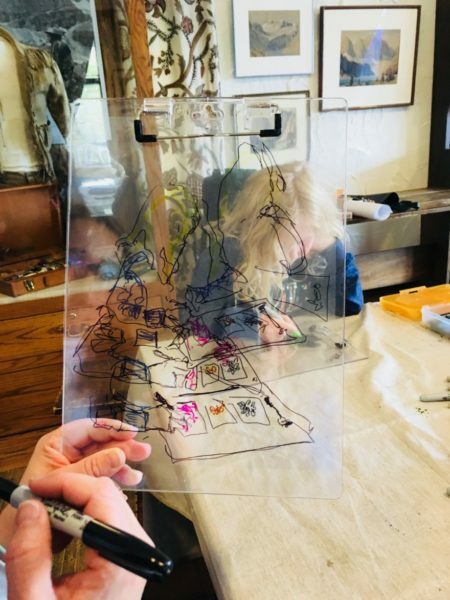 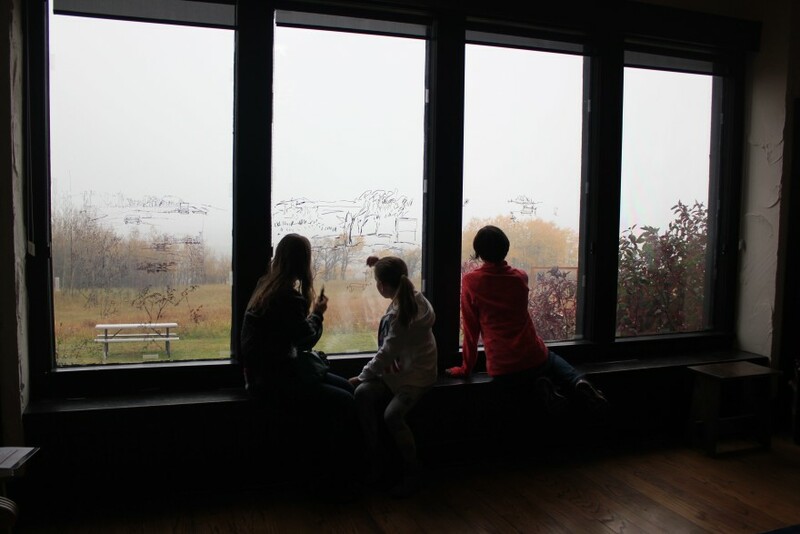 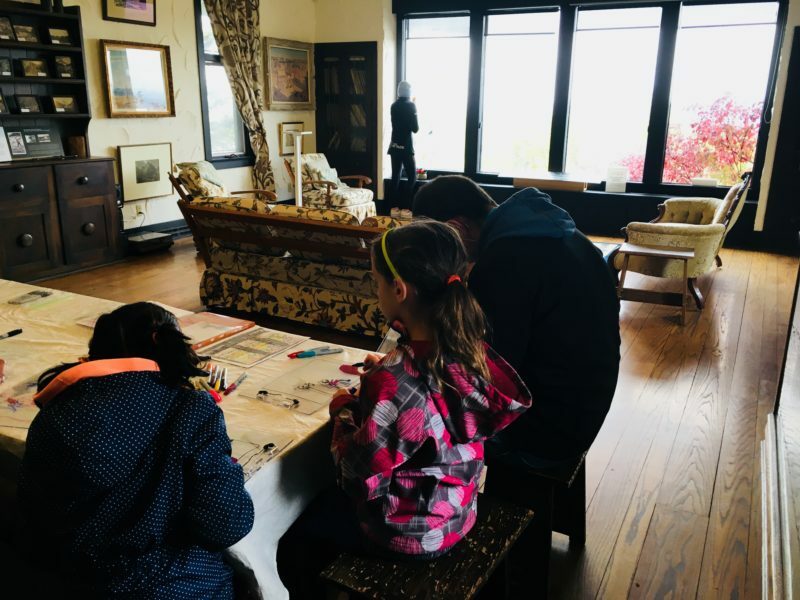 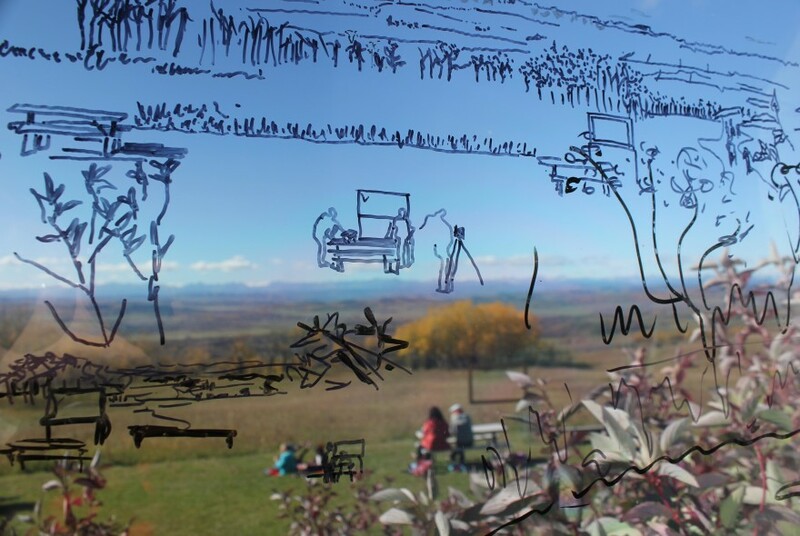 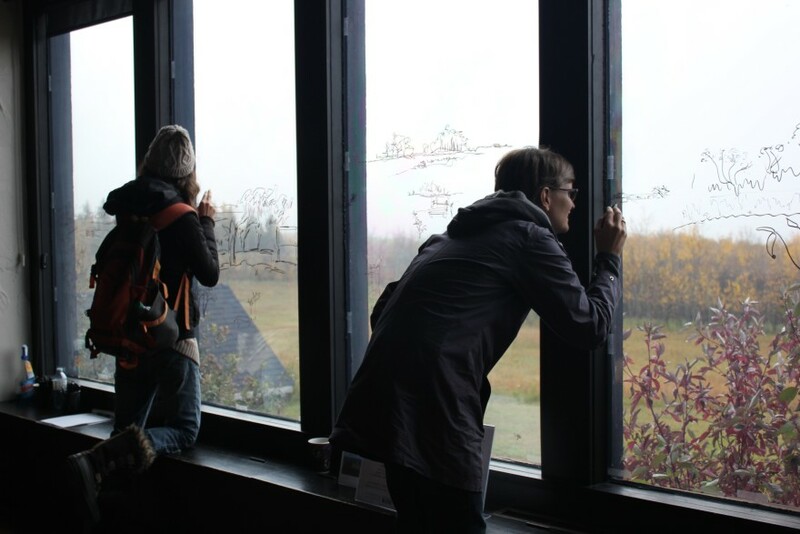 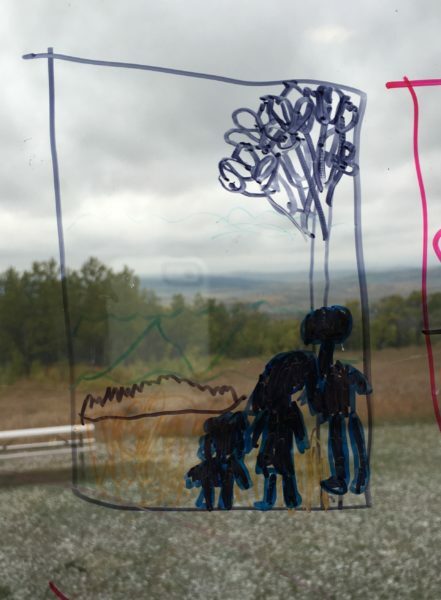 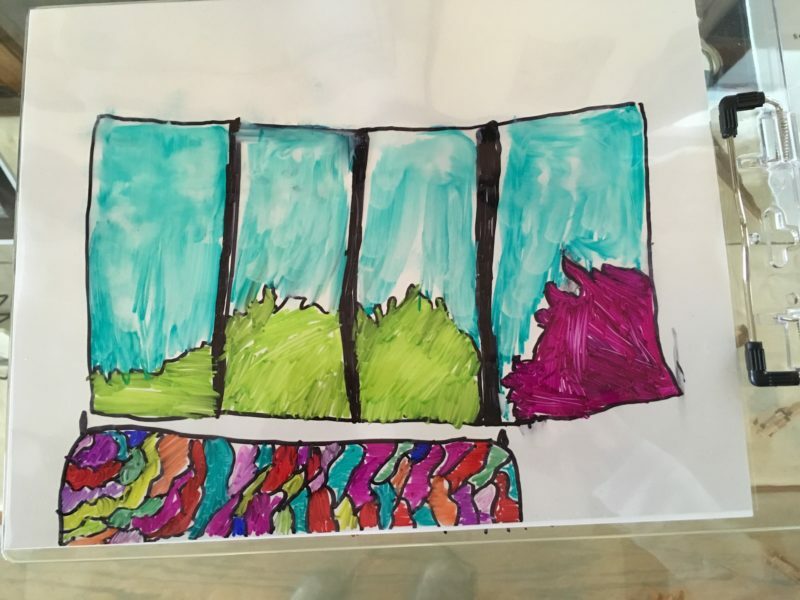 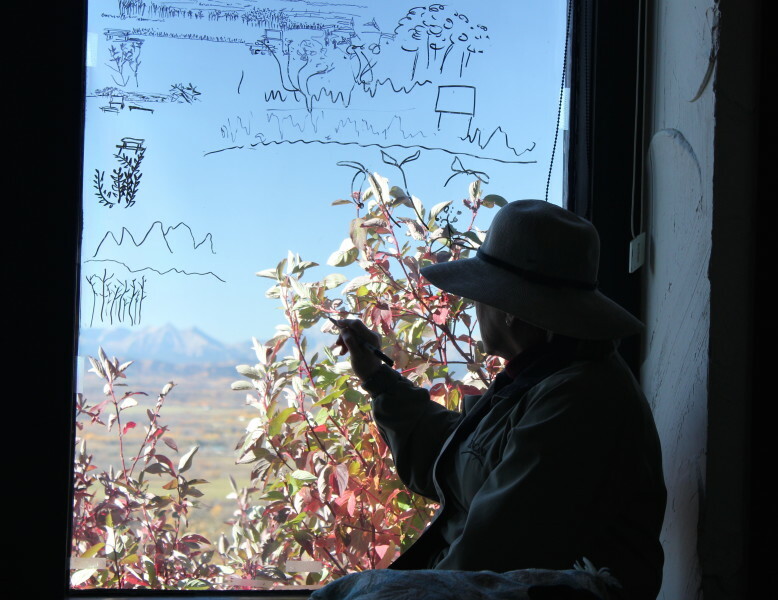 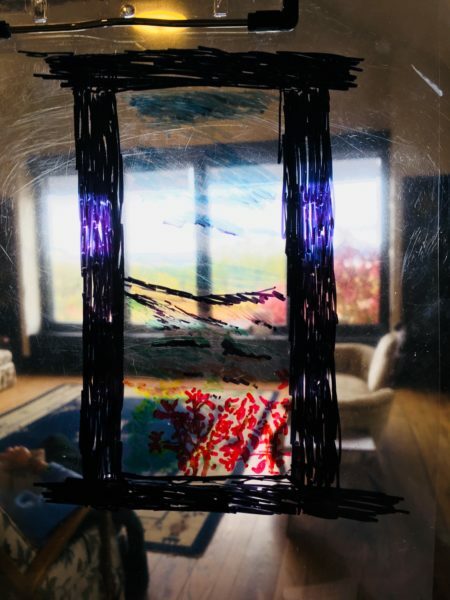 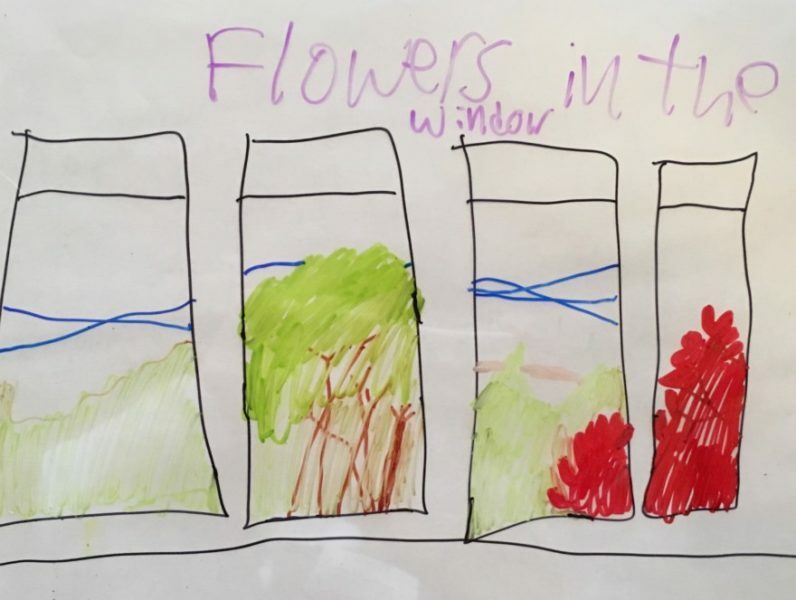 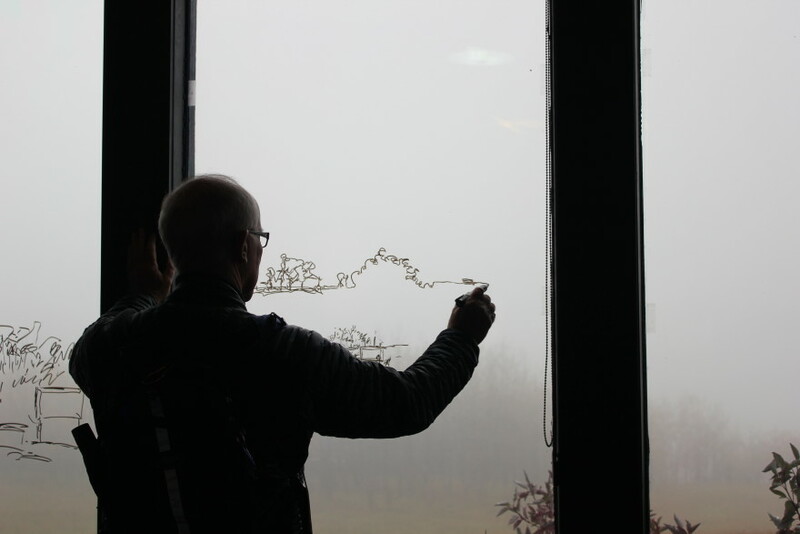 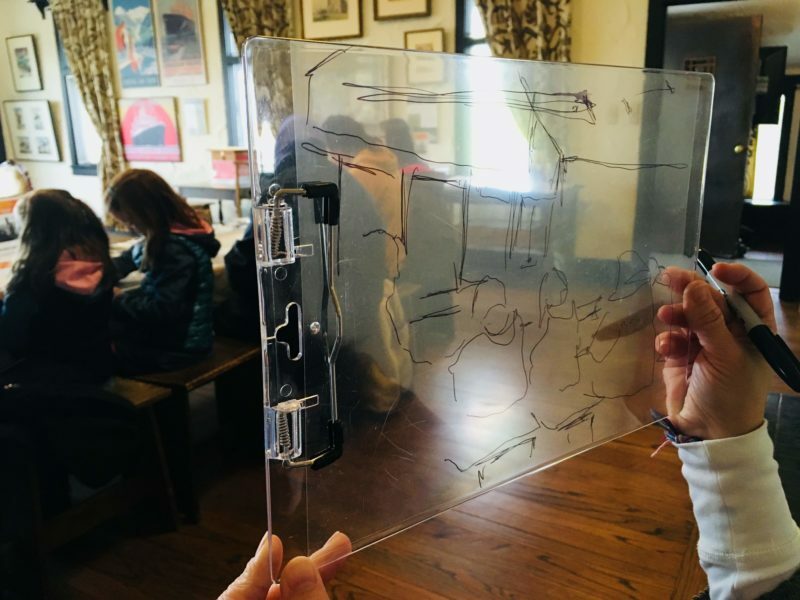 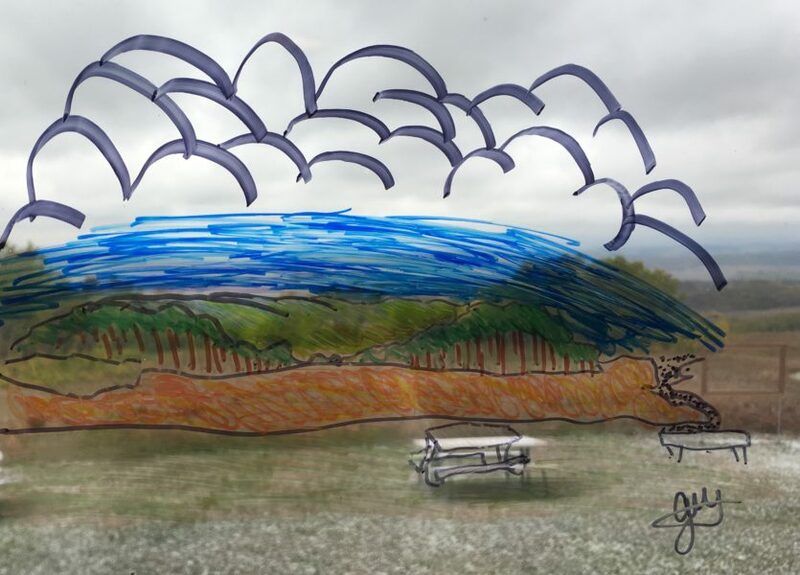 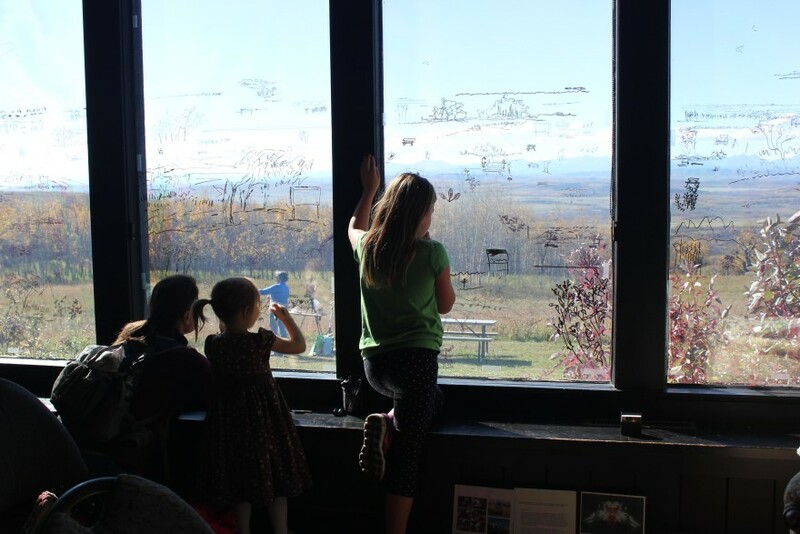 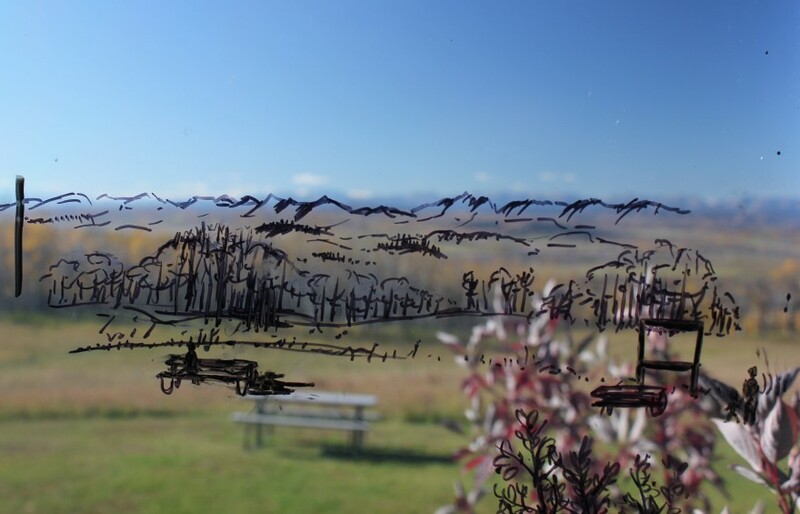 Visitors were invited to draw their unique perception of the Foothills landscape either on the window of the Great Room or using transparent clipboard. 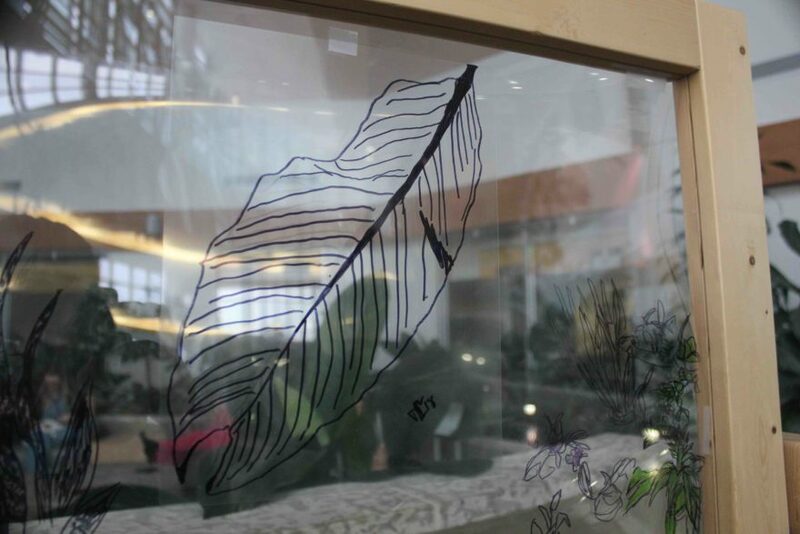 The addition of colour markers gave a new result to the drawing activities. 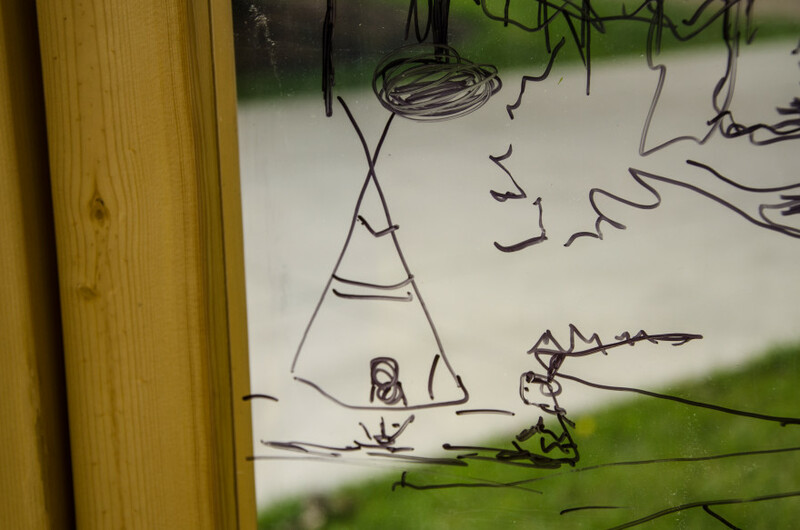 Here are some images and drawings from the participants. 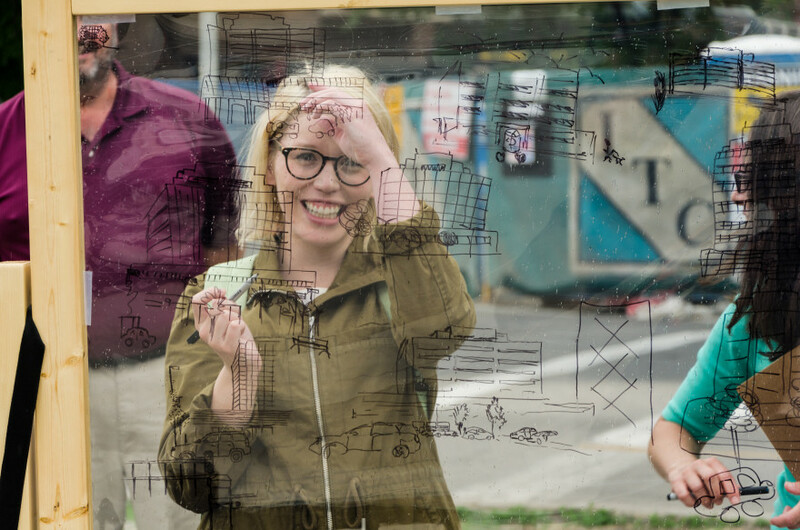 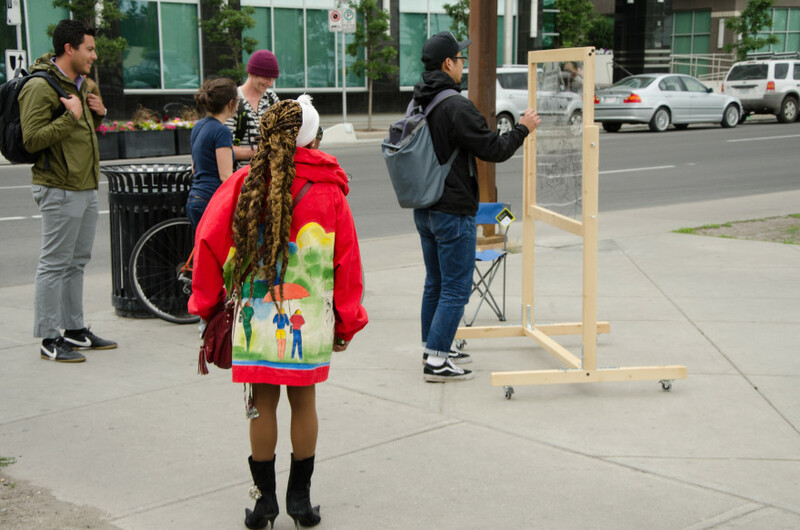 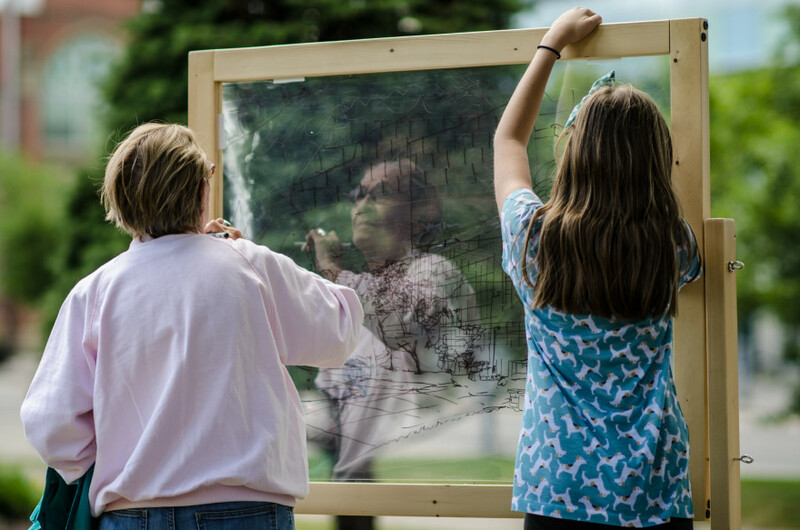 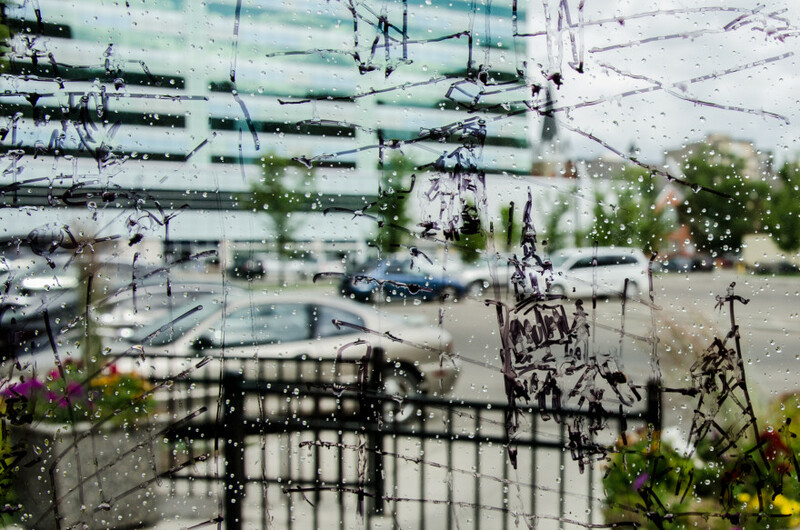 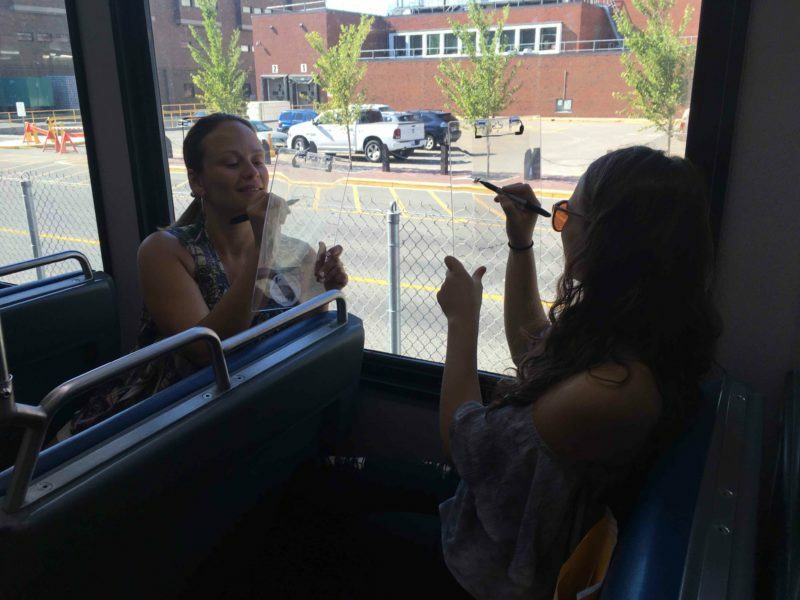 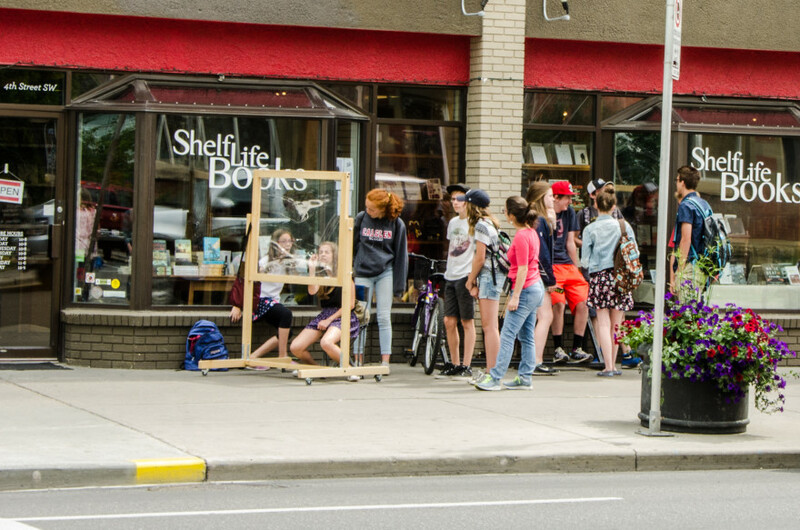 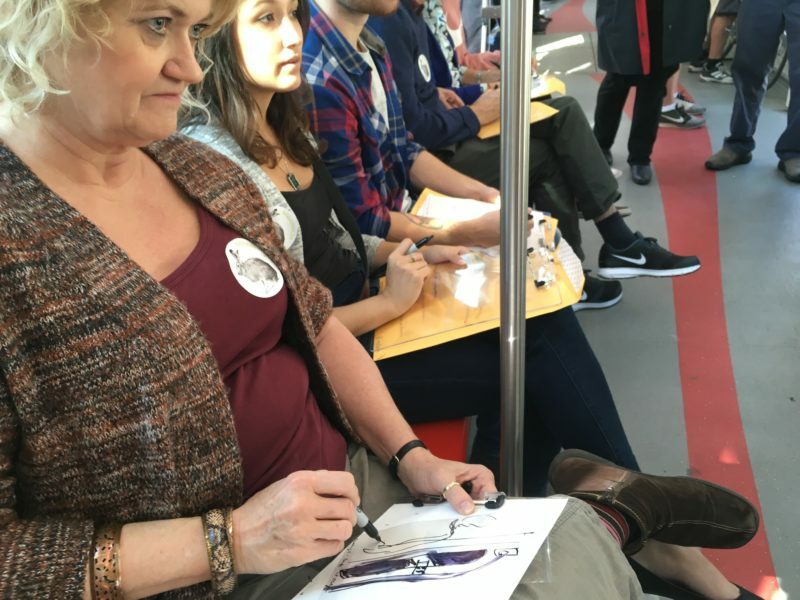 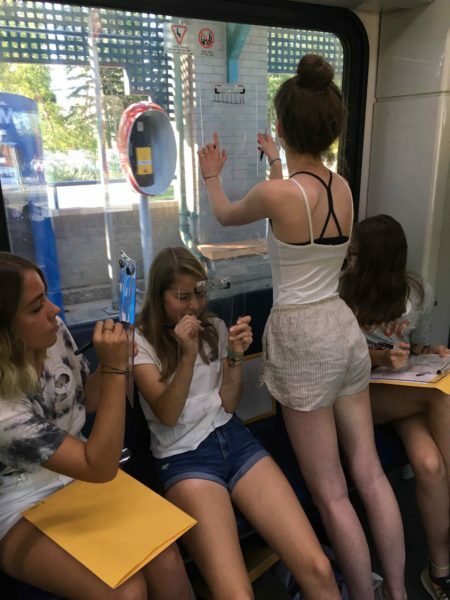 Walking Window: Drawing Awareness to the Presence of The Sheldon M. Chumir was an outdoor drawing activity event performed during the month of June, 2016. 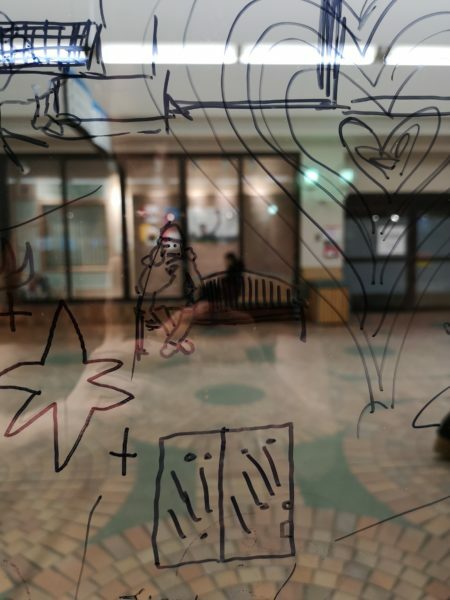 The idea was to gather from passersby a collection of drawings from different perspectives and locations around the Chumir Centre. 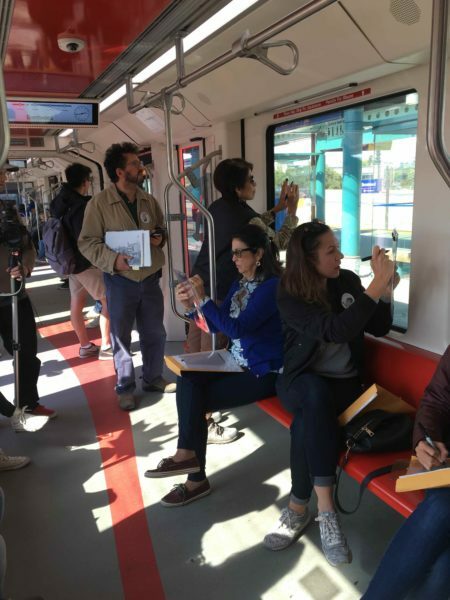 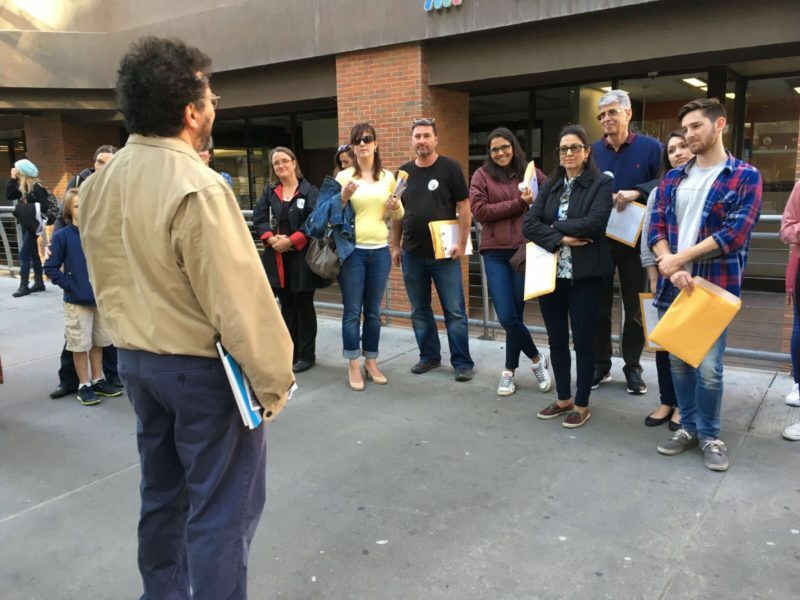 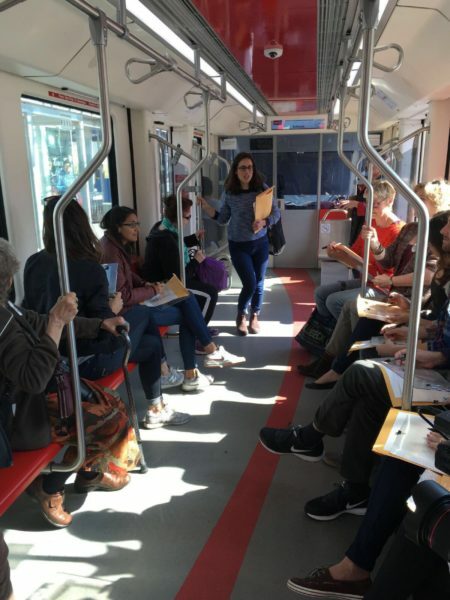 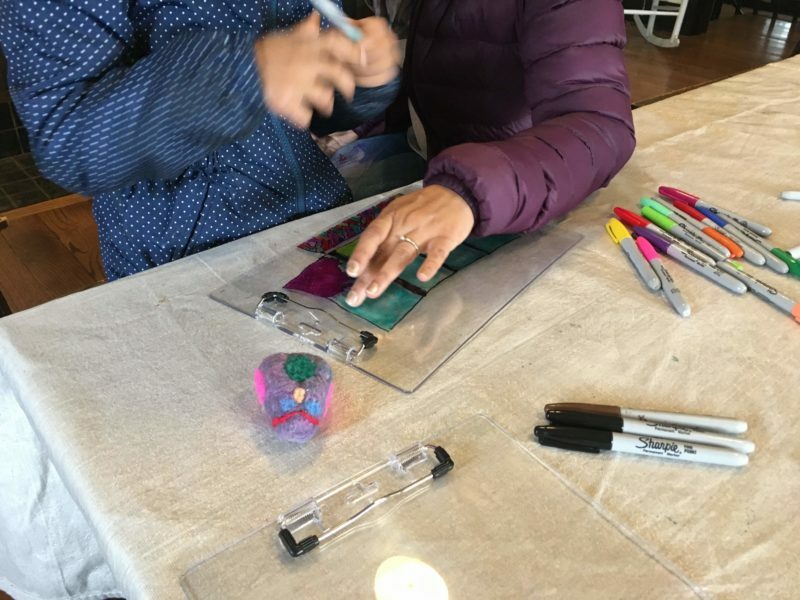 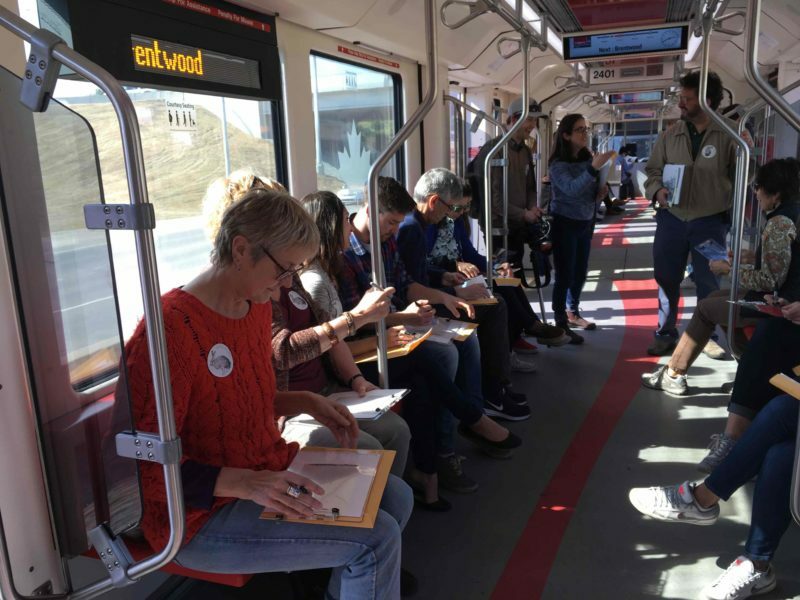 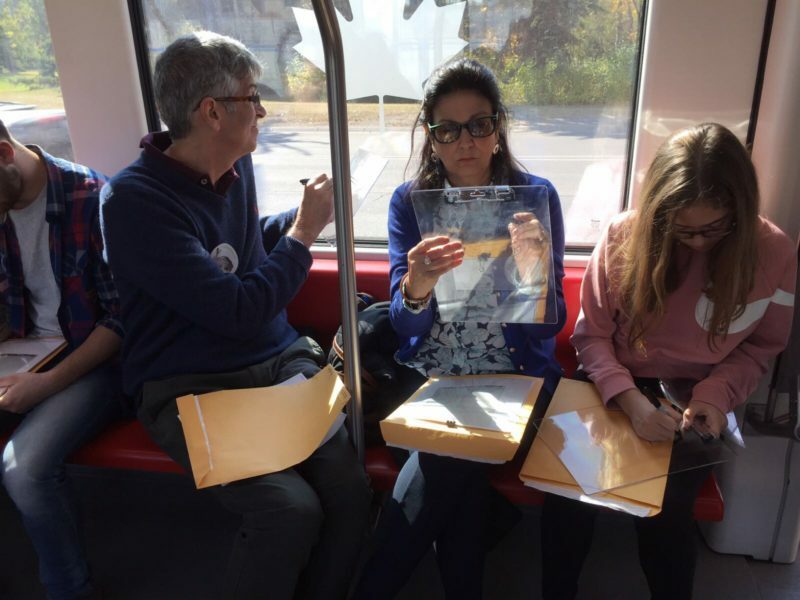 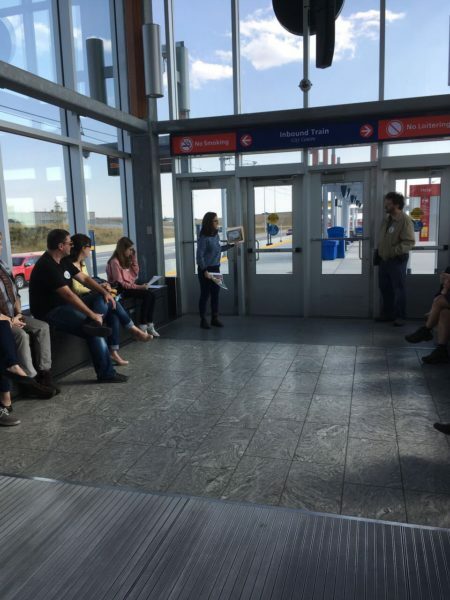 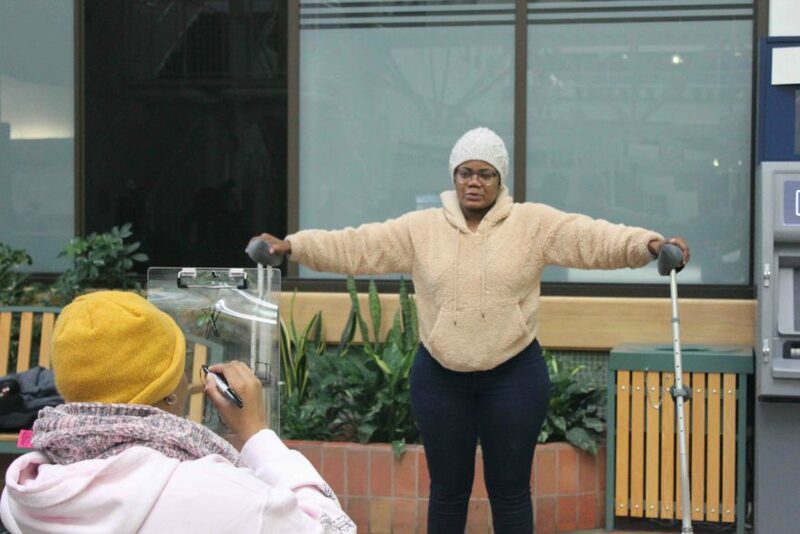 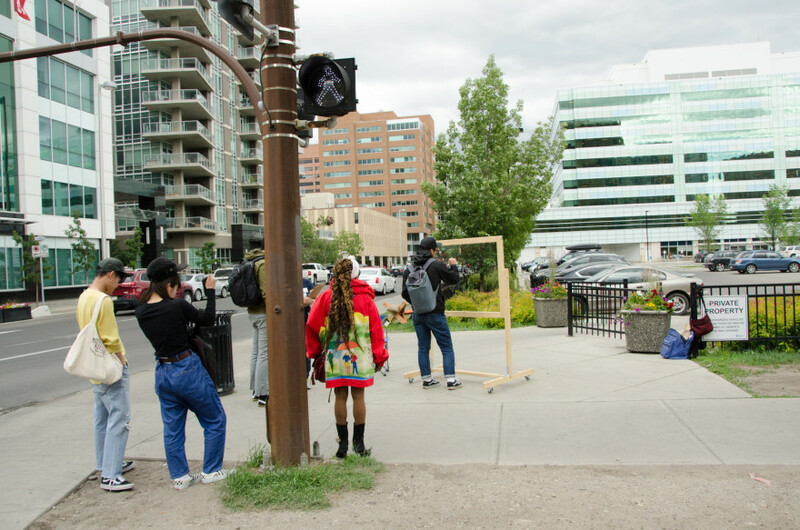 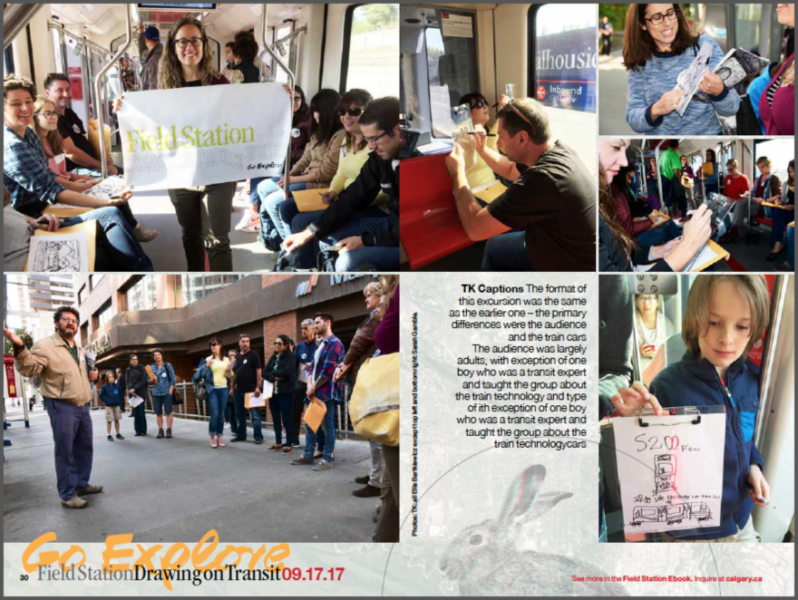 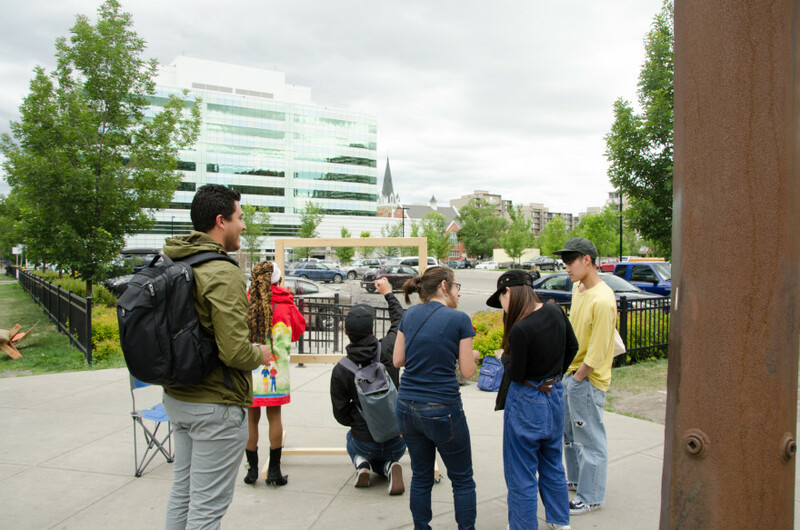 This engaged activity hoped to draw awareness to the presence of Sheldon M. Chumir and to open new possibilities for people to connect place and experience. 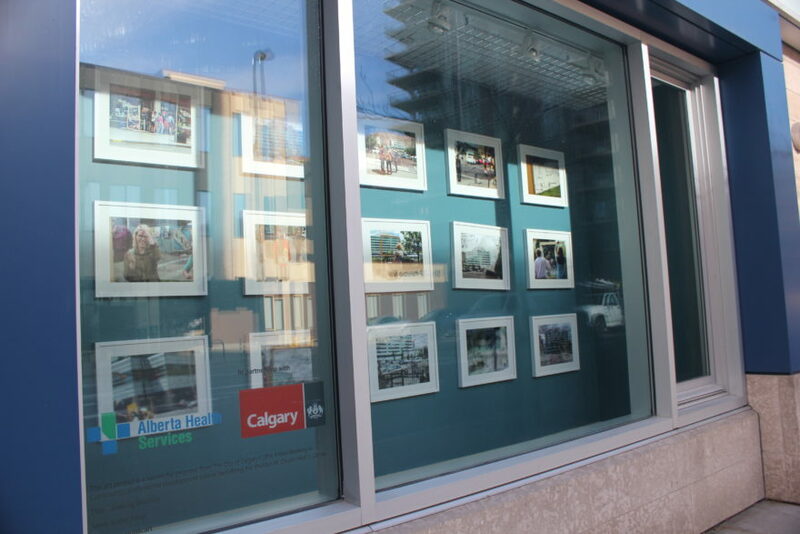 The fifteen images resulting from this project were on displayed at the Chumir’s window facing 12 Ave SW, from July to December 2016. 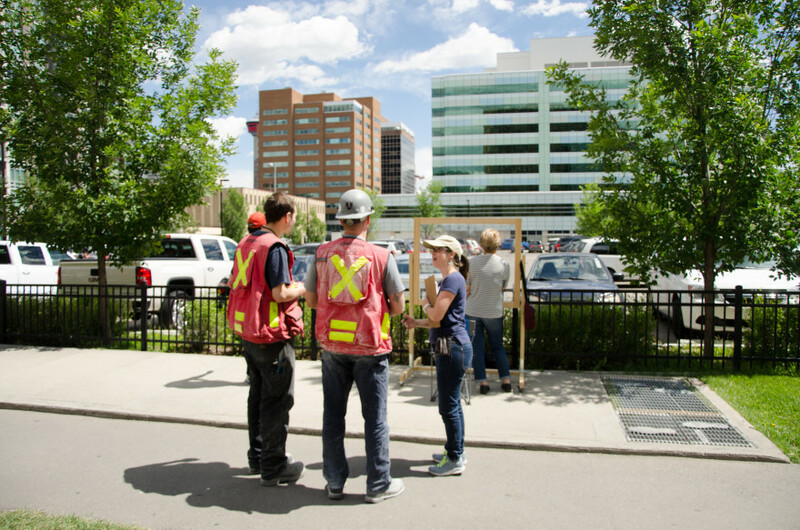 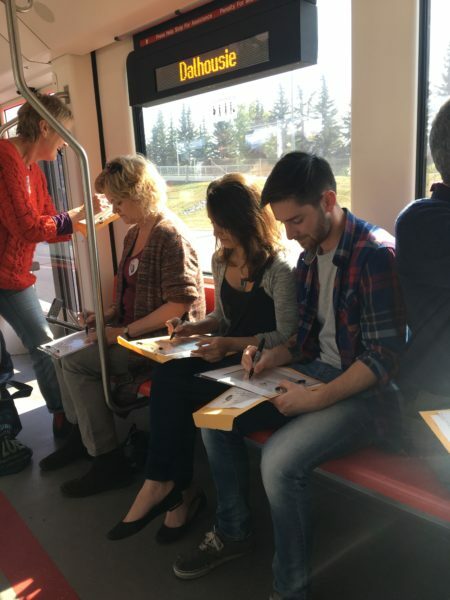 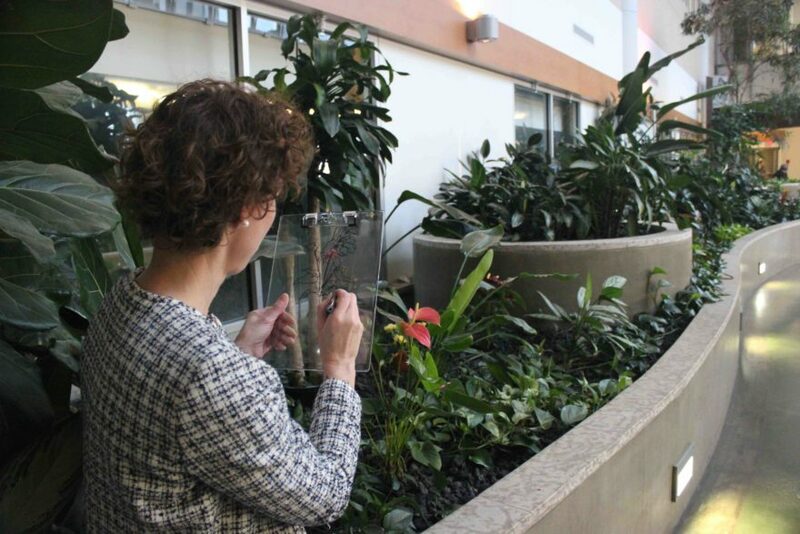 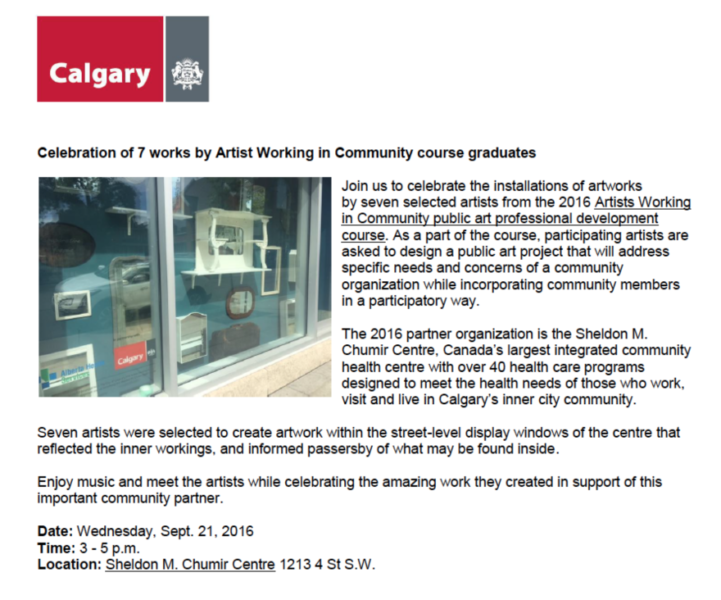 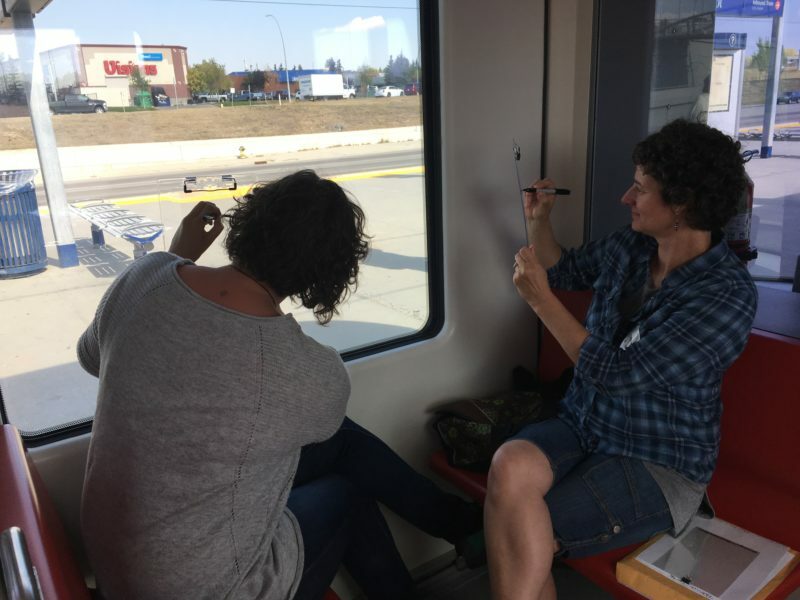 This art project was a successful proposal from the City of Calgary’s 2016 Artists Working in Community professional development course, benefiting the Sheldon M. Chumir Centre. 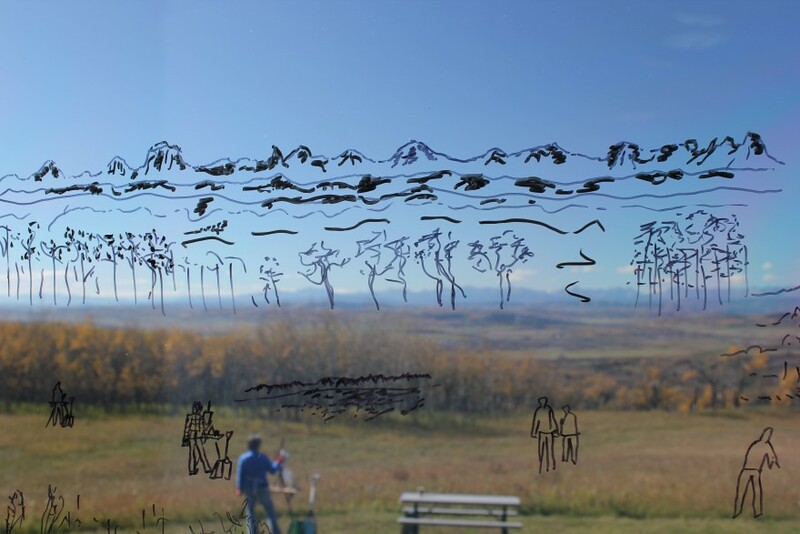 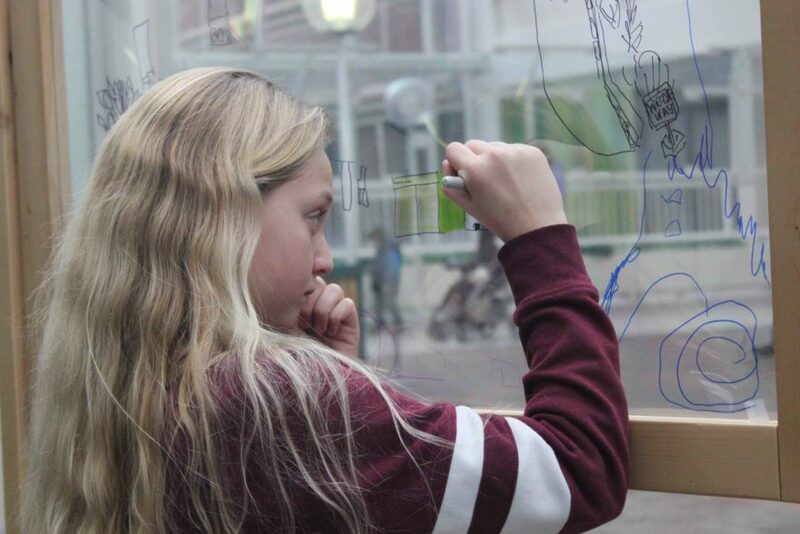 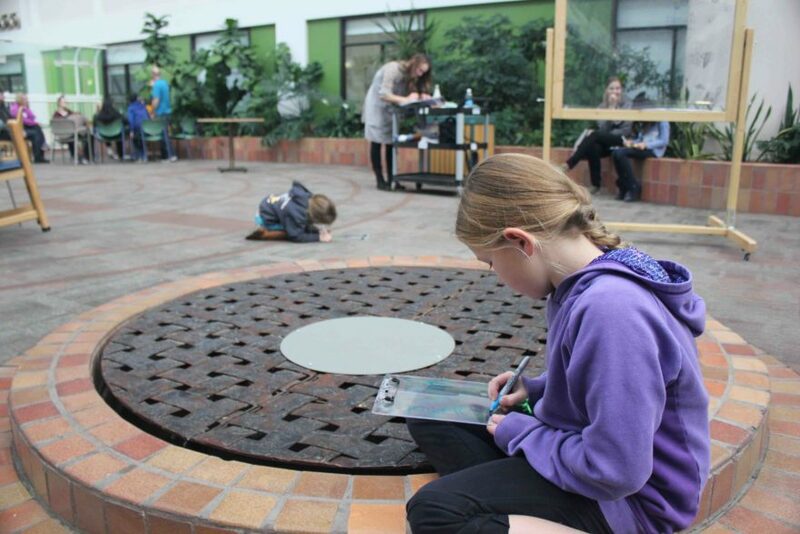 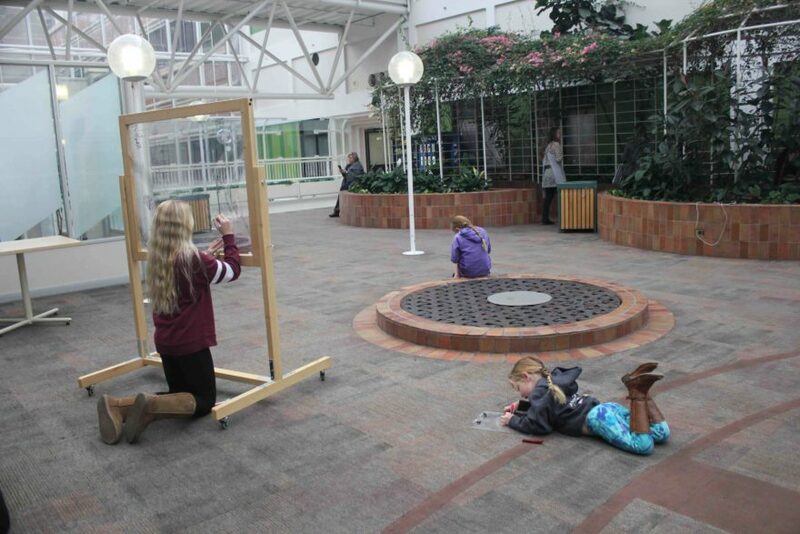 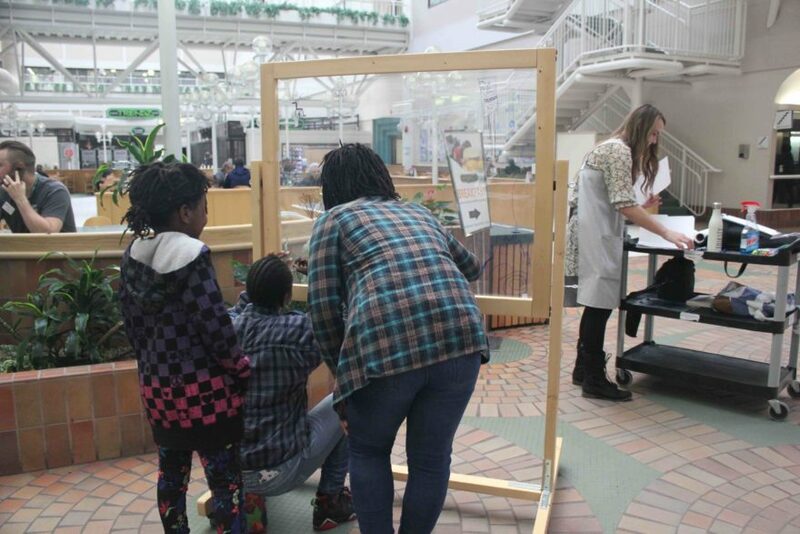 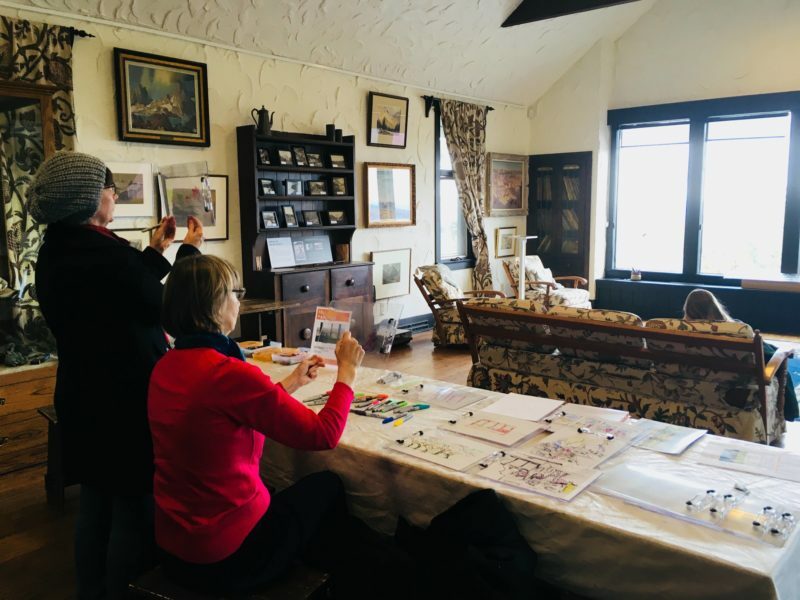 Perceptual Drawing at the Leighton Art Centre was an informal community art-making project during the Alberta Culture Days, October 1st and 2nd, 2016. 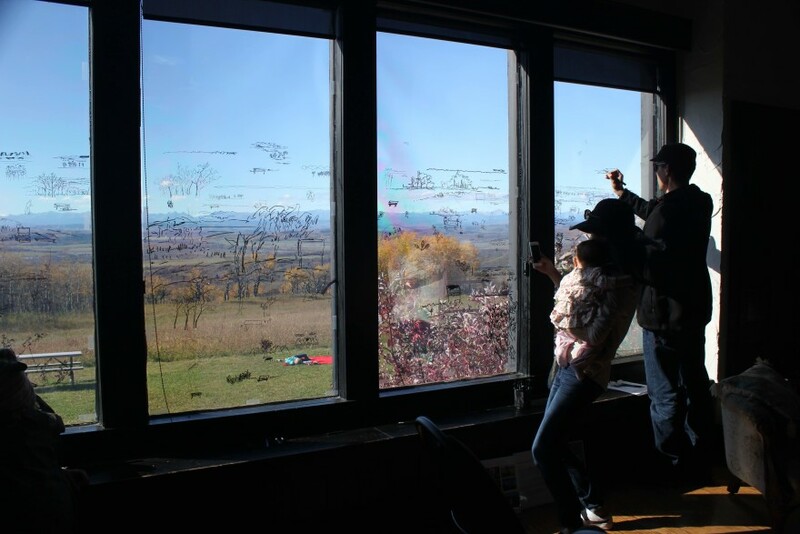 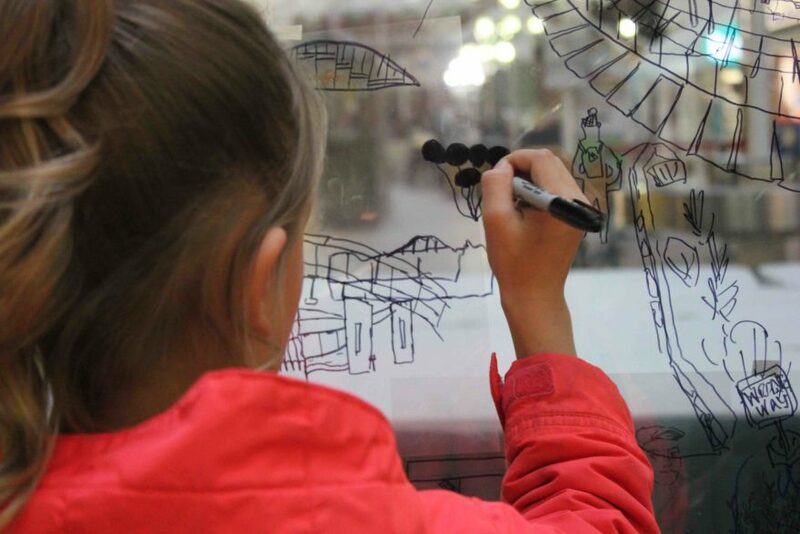 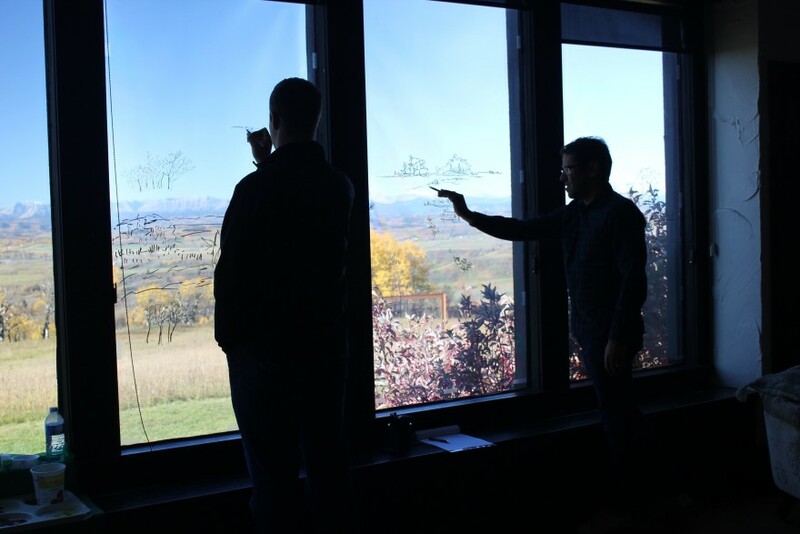 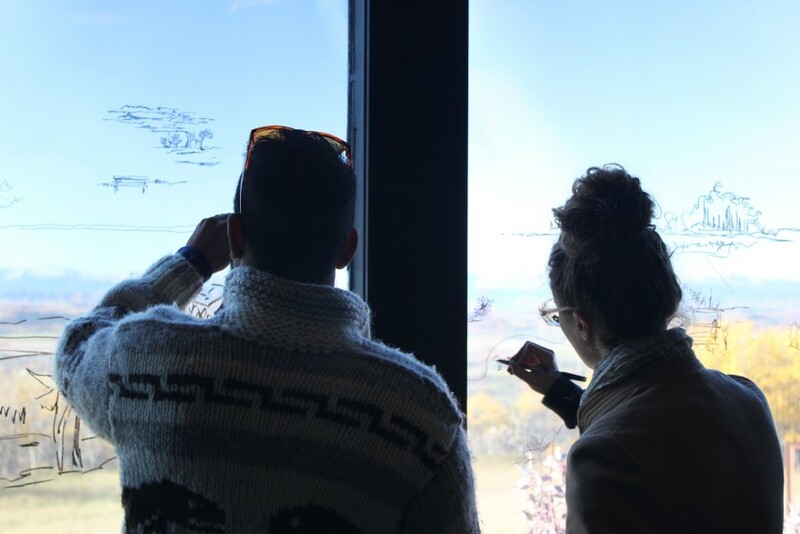 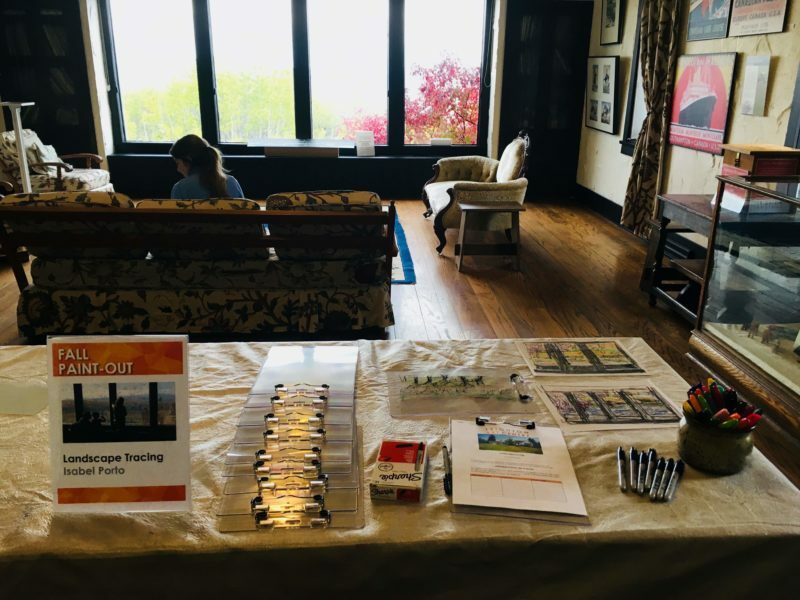 Visitors were invited to draw their unique perception of the Foothills landscape on the magnificent windows of the Great Room.